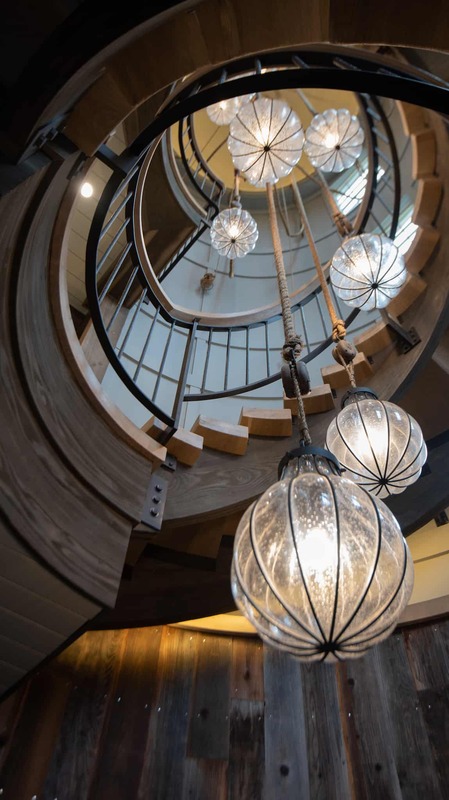 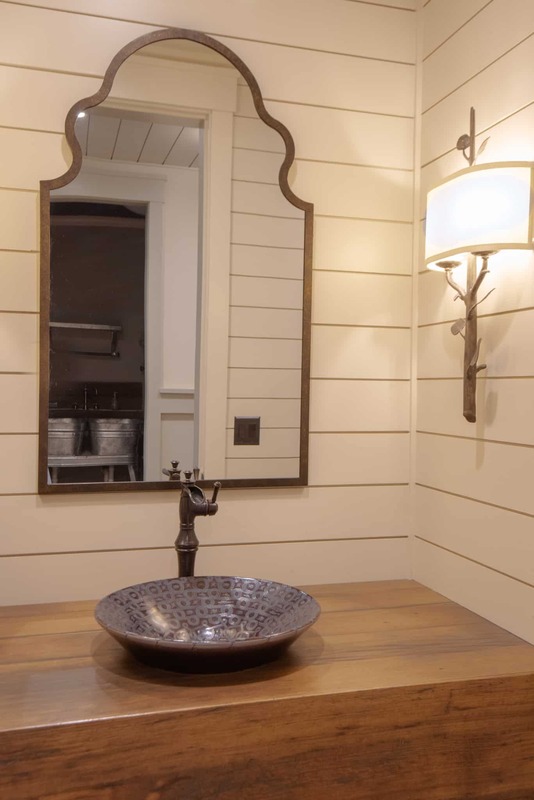 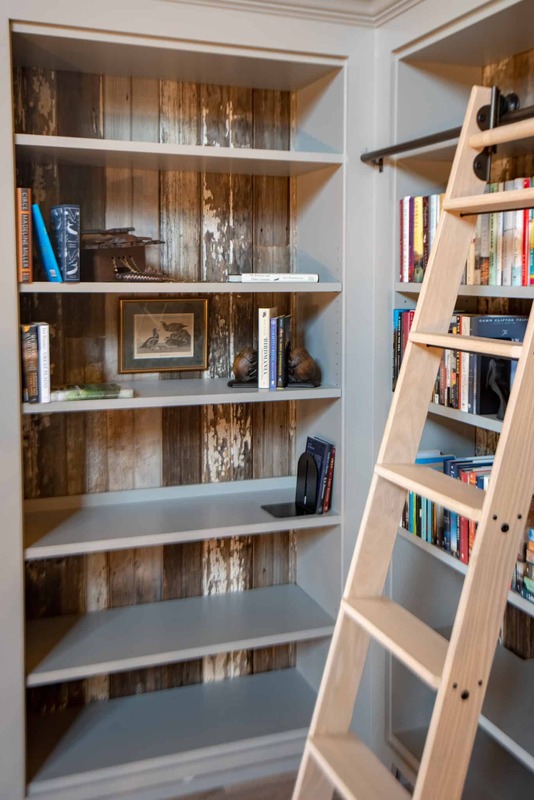 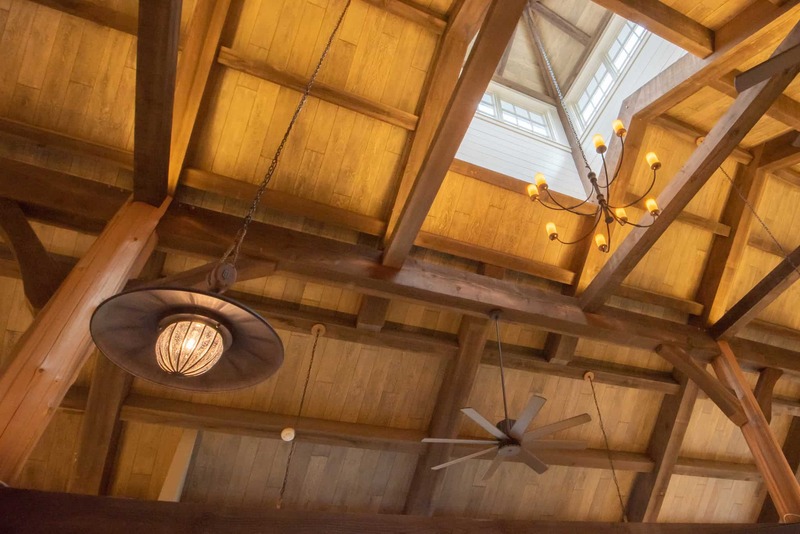 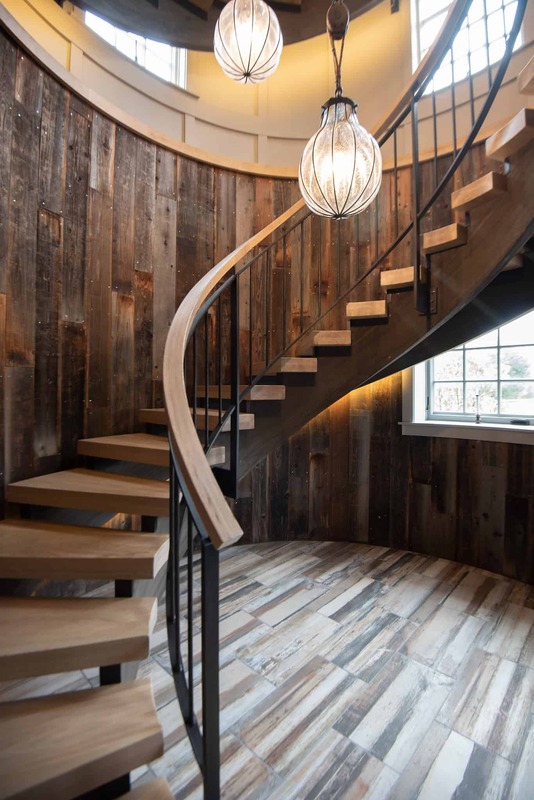 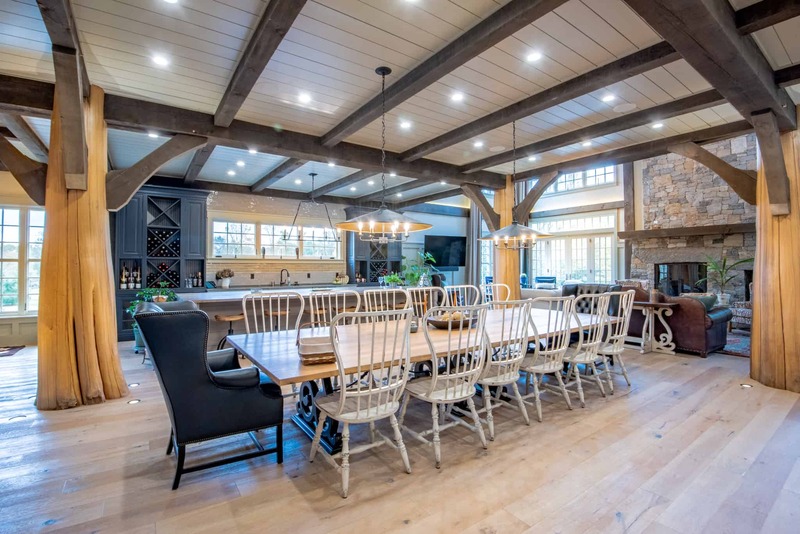 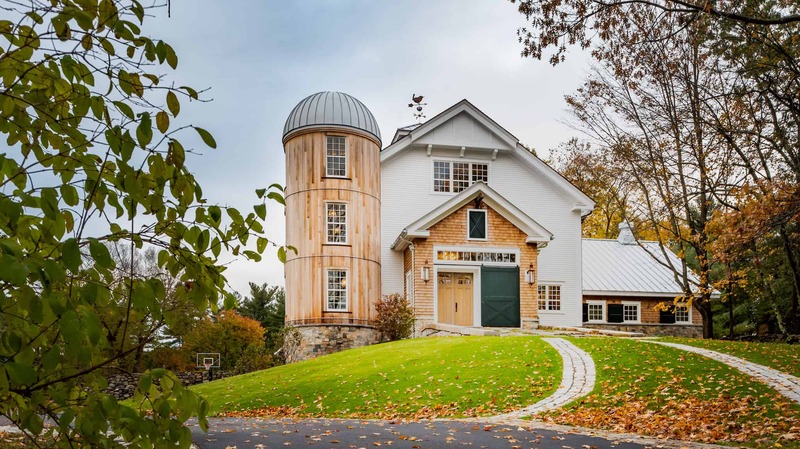 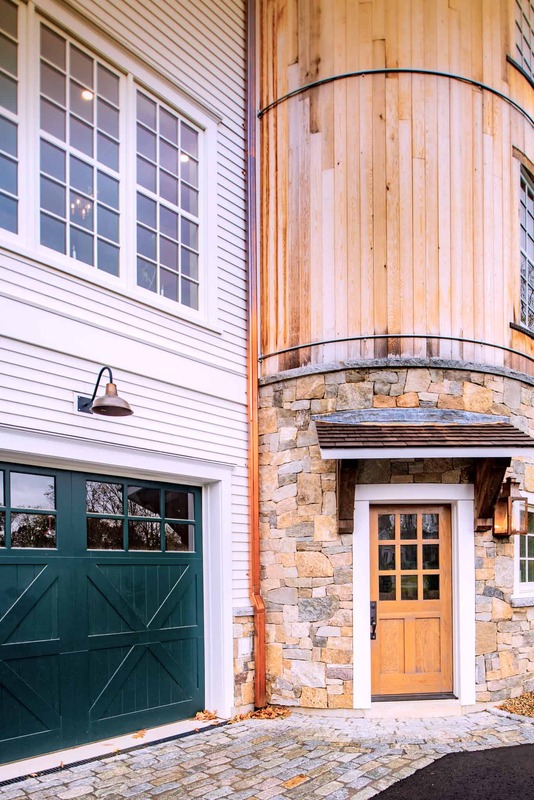 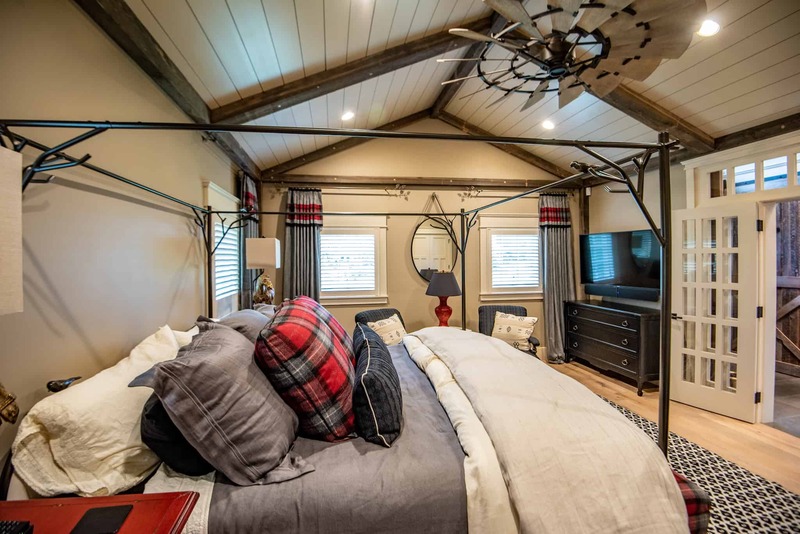 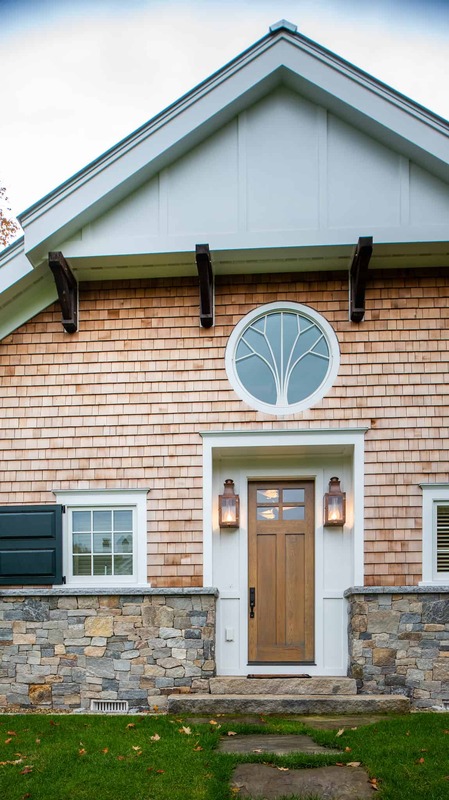 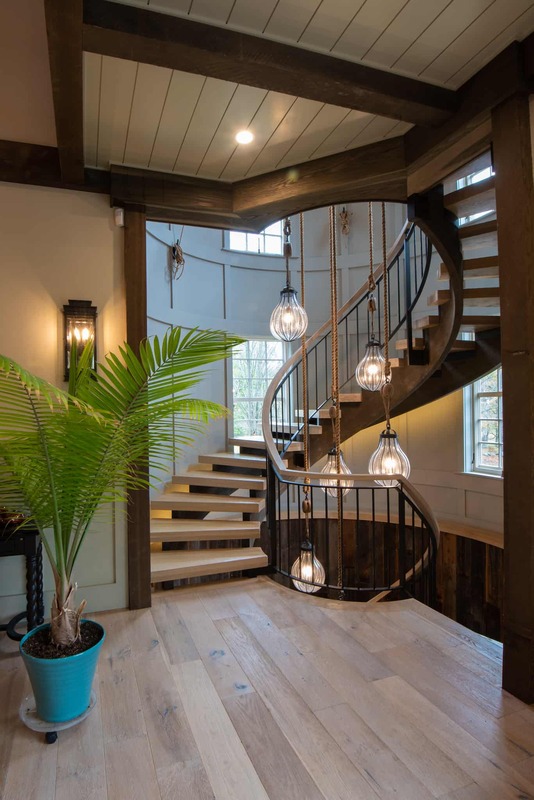 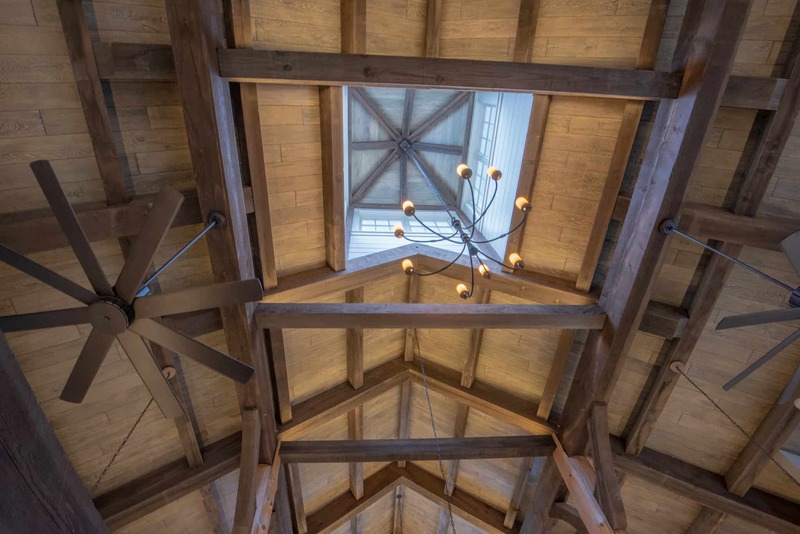 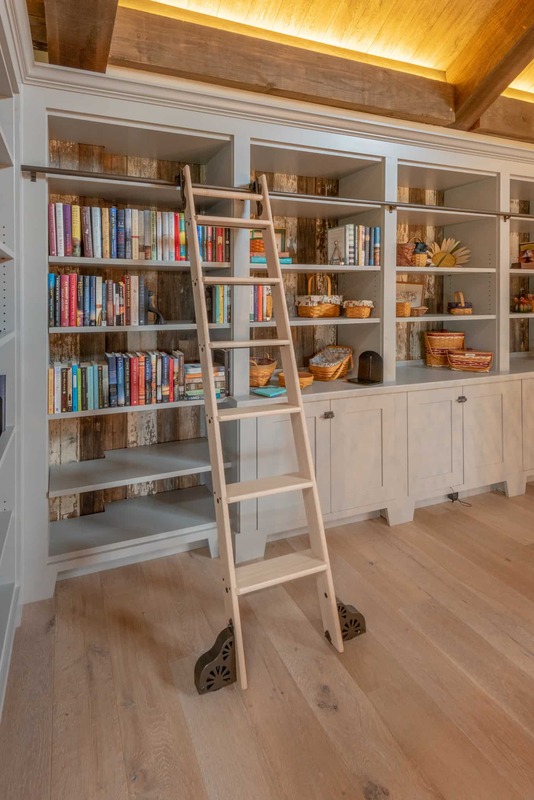 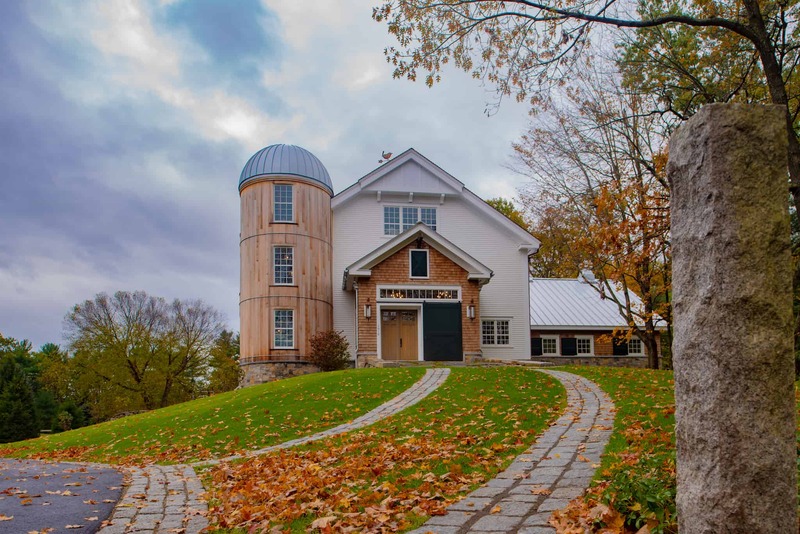 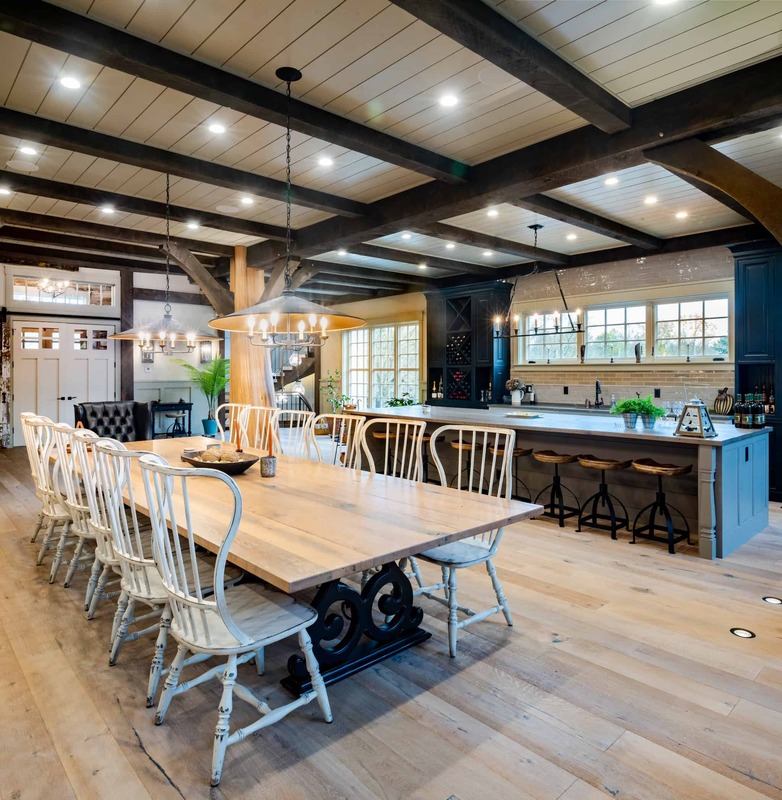 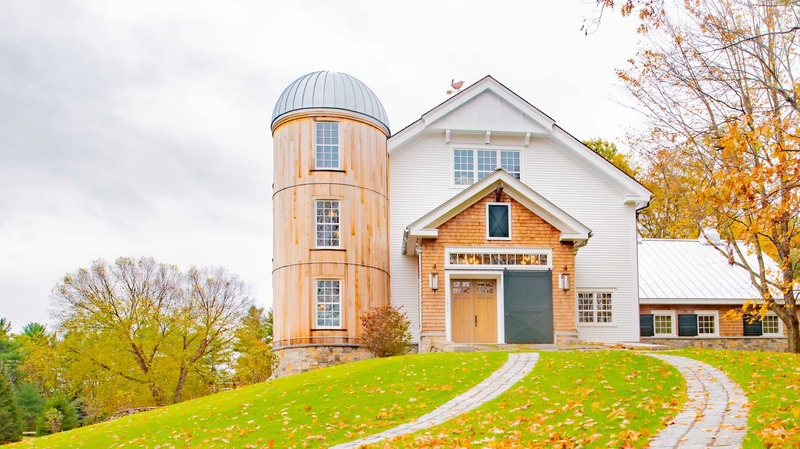 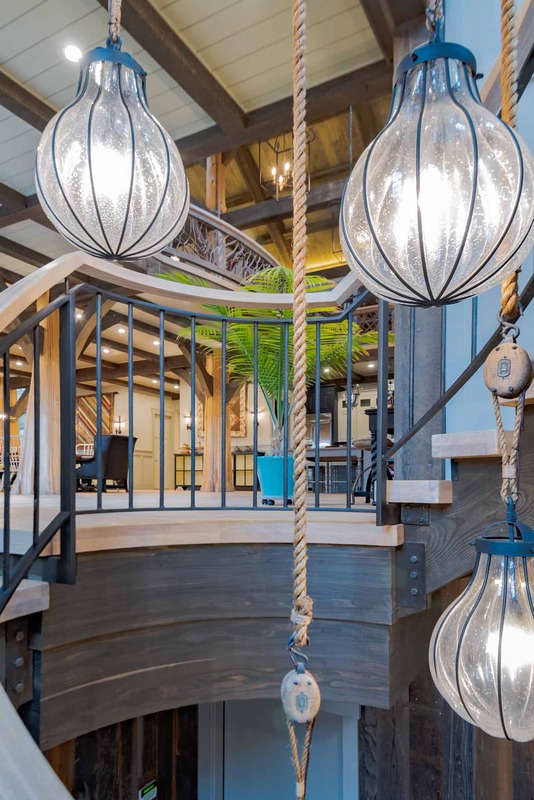 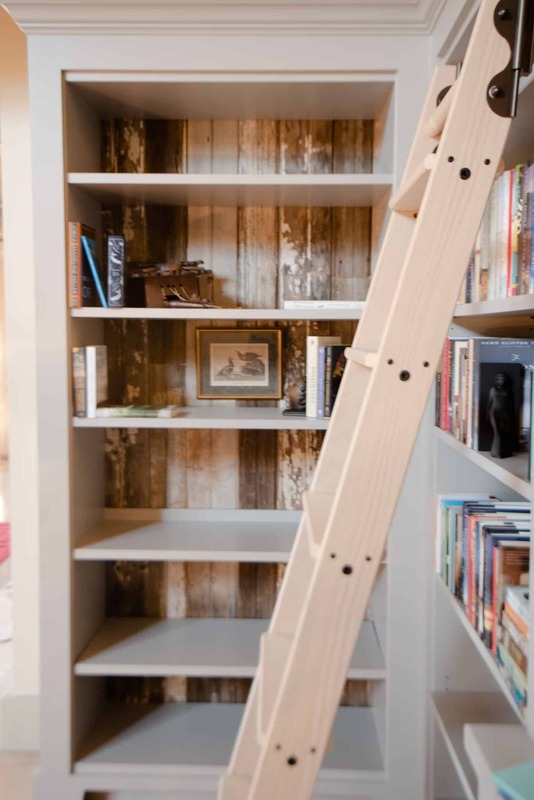 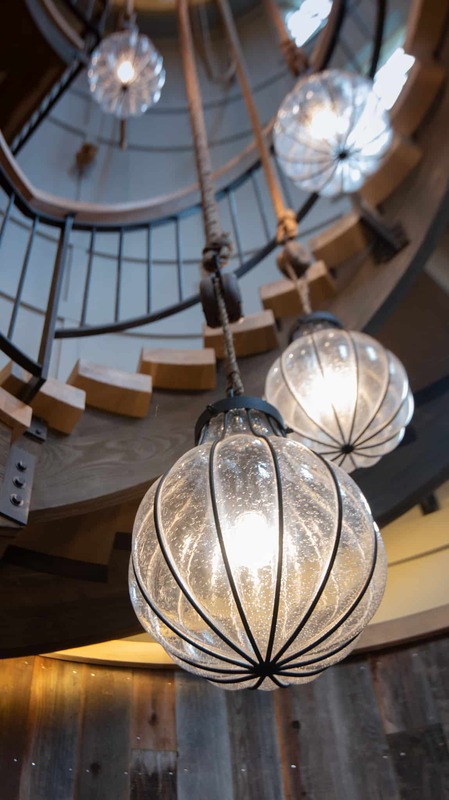 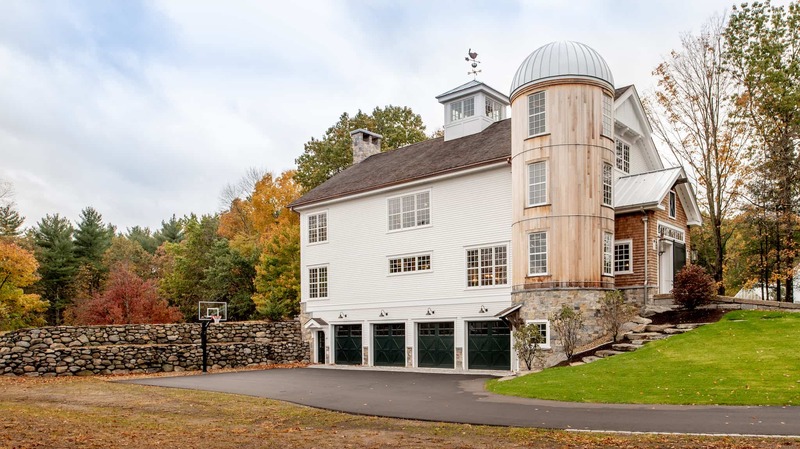 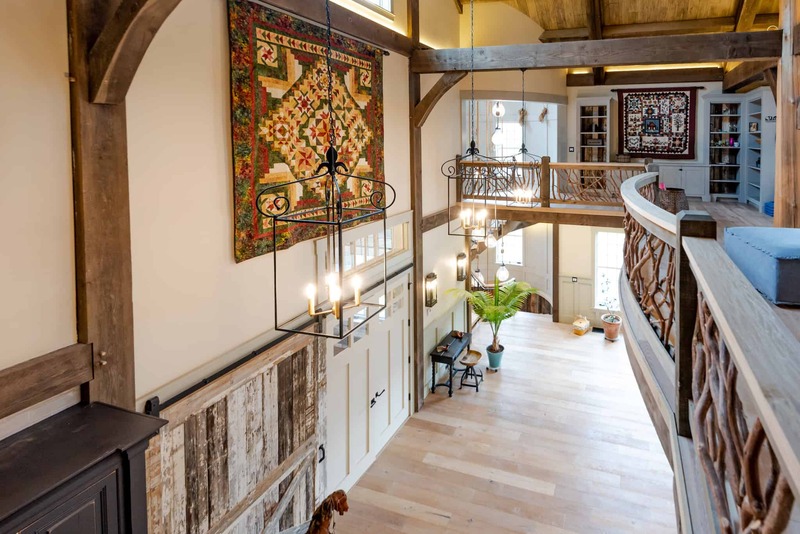 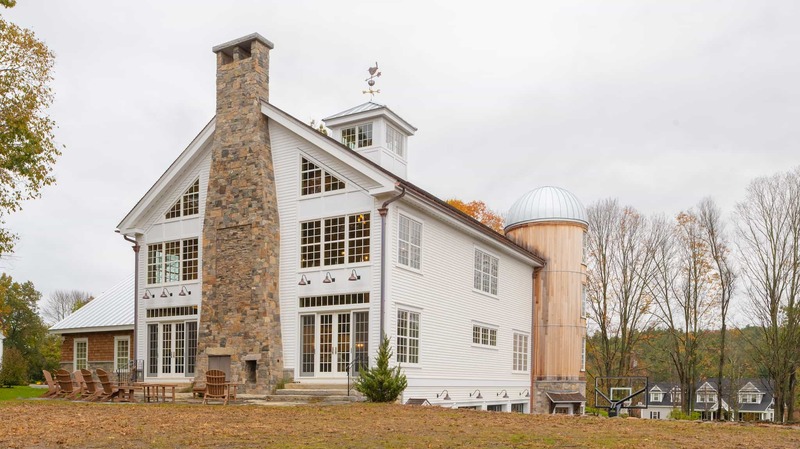 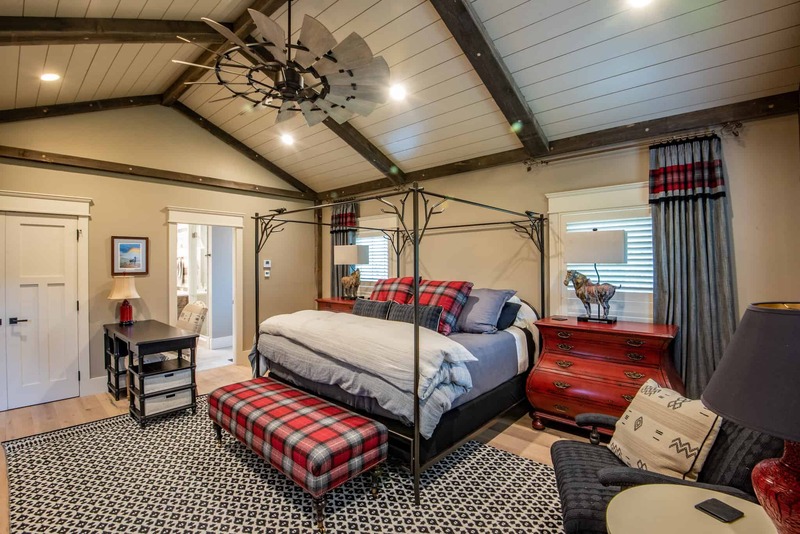 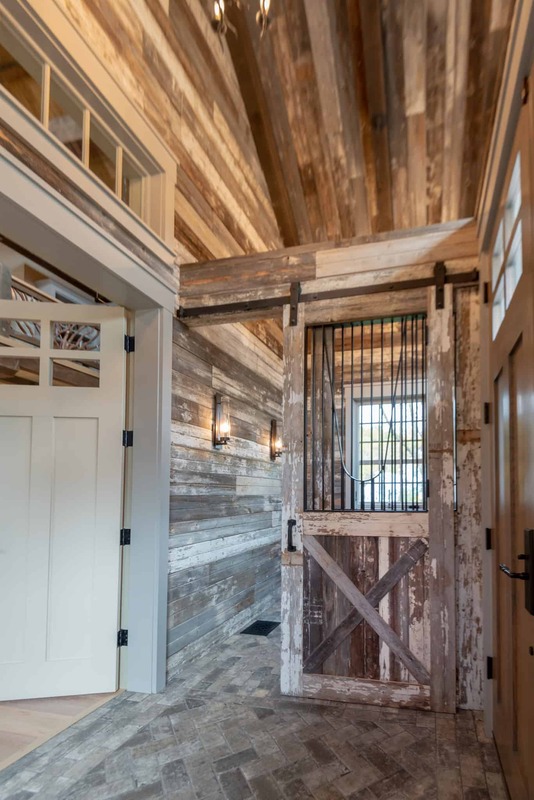 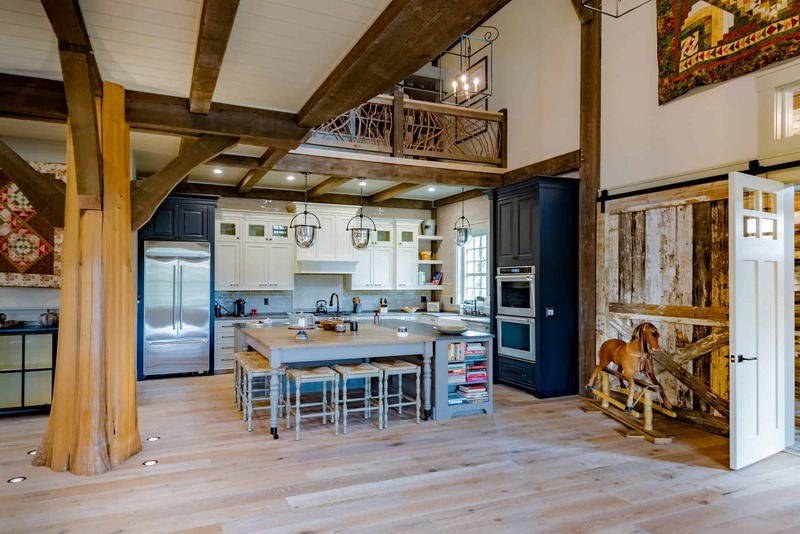 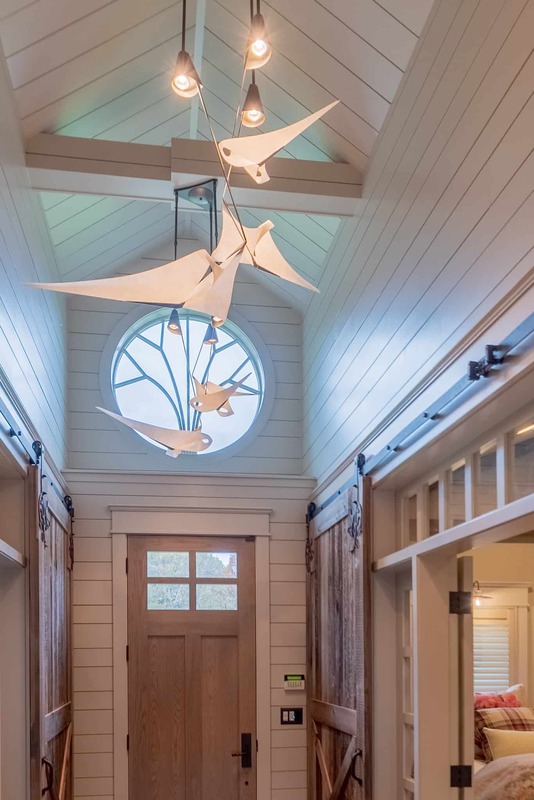 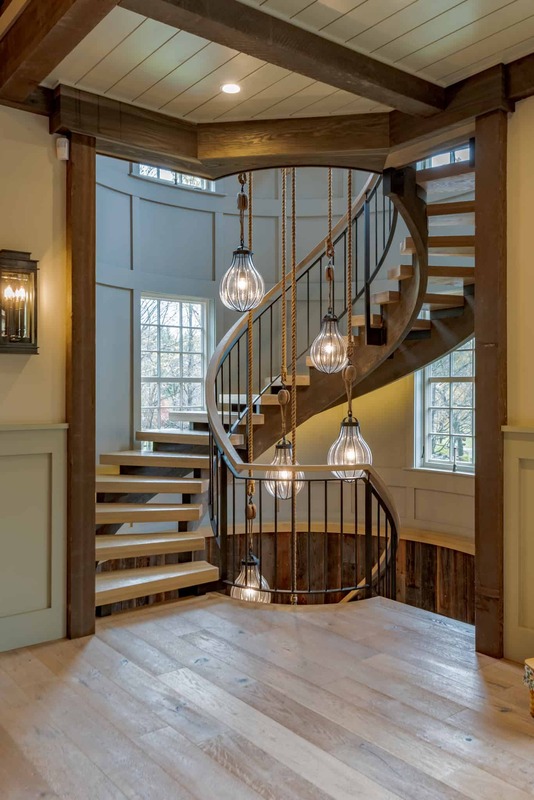 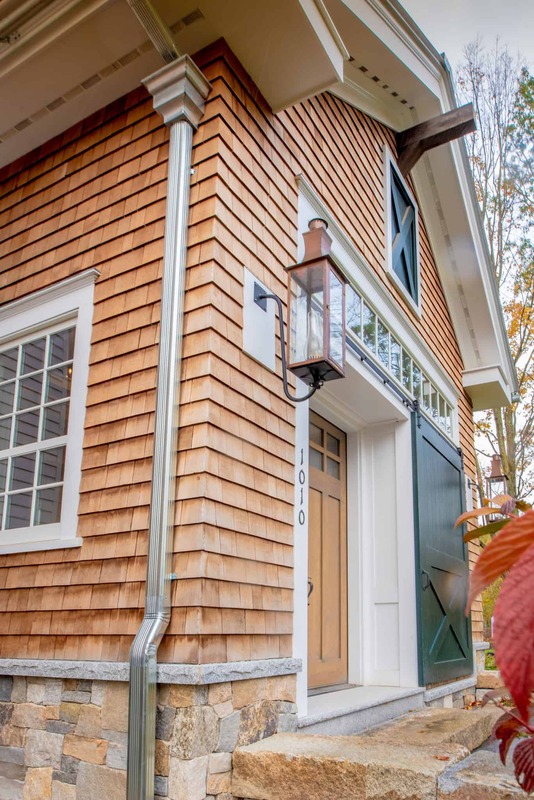 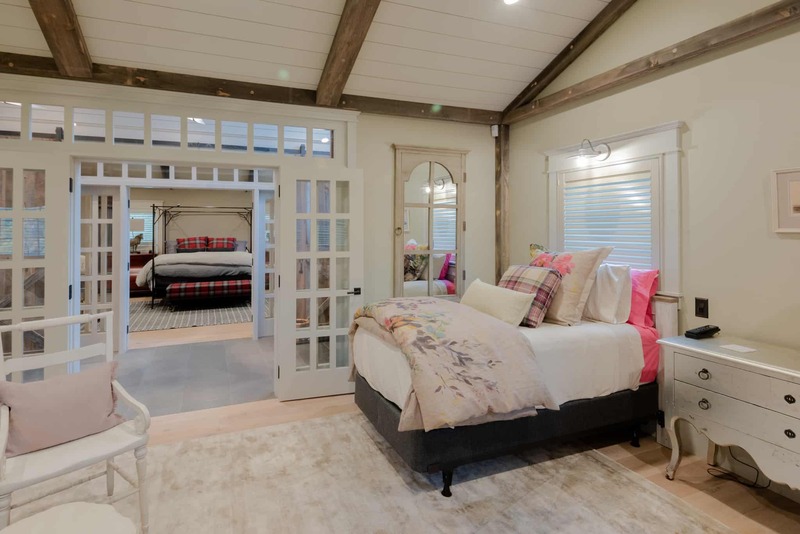 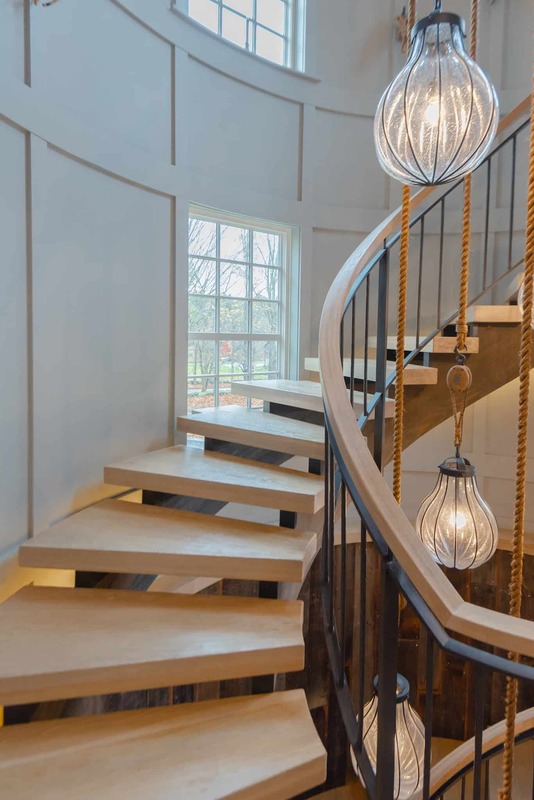 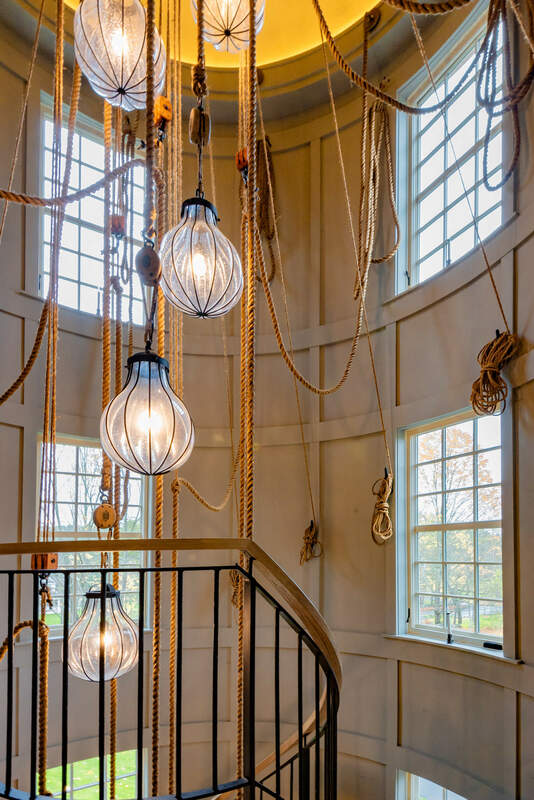 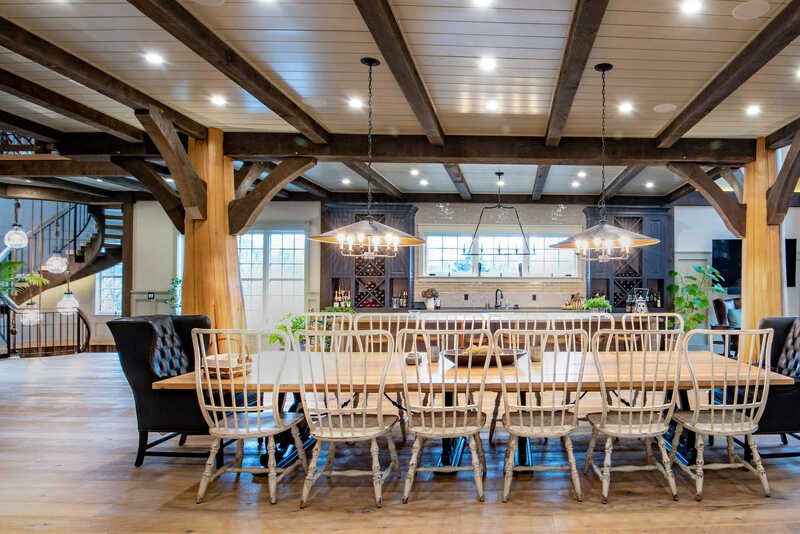 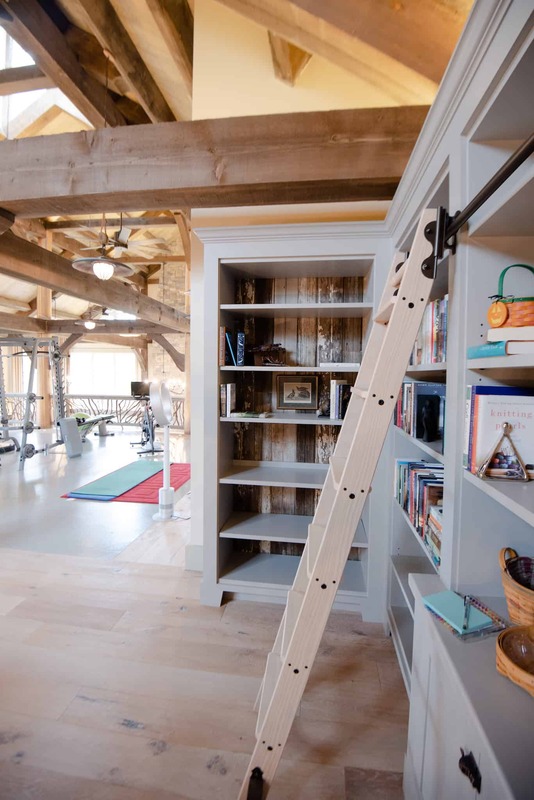 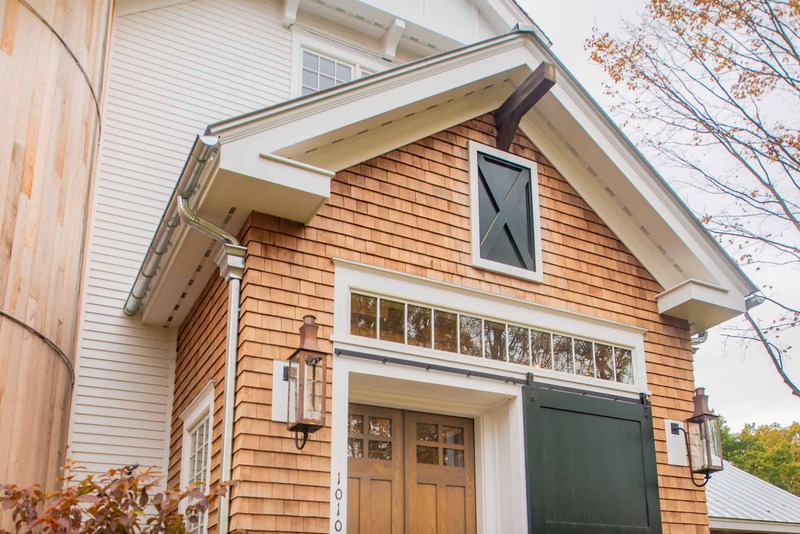 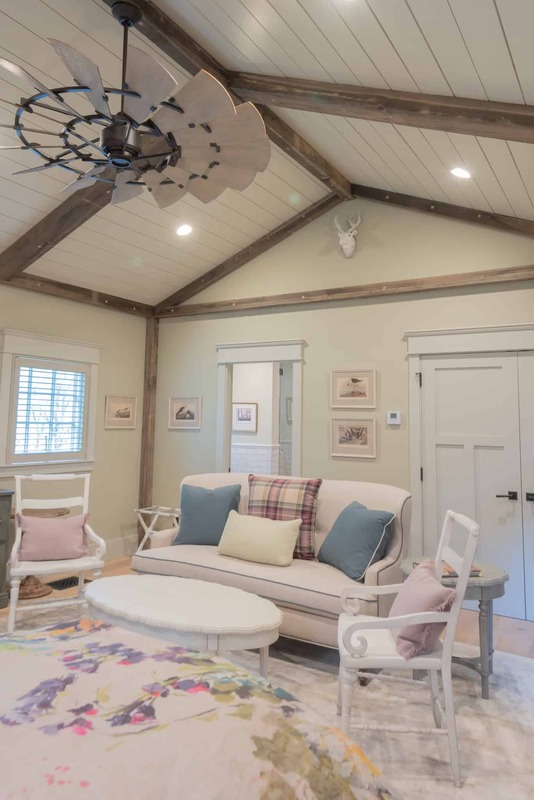 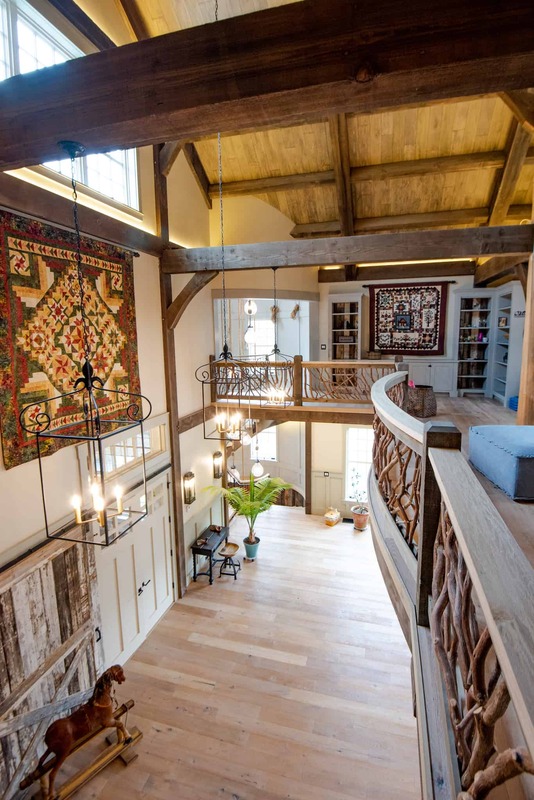 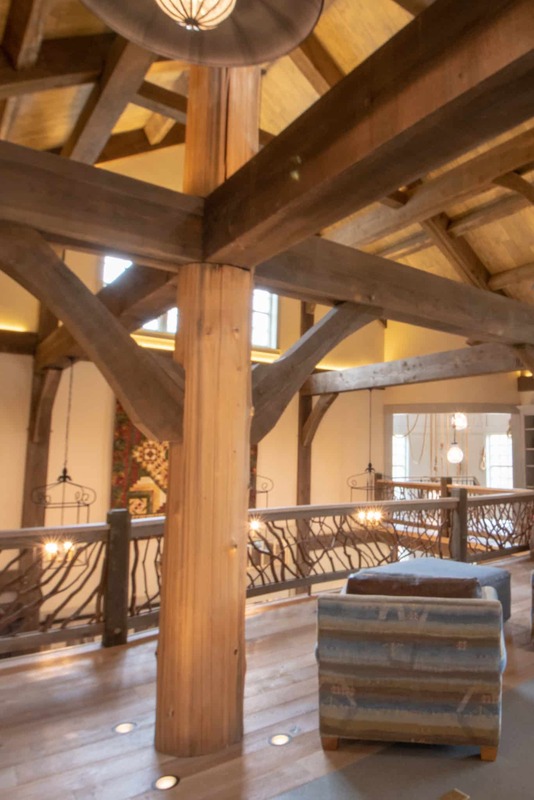 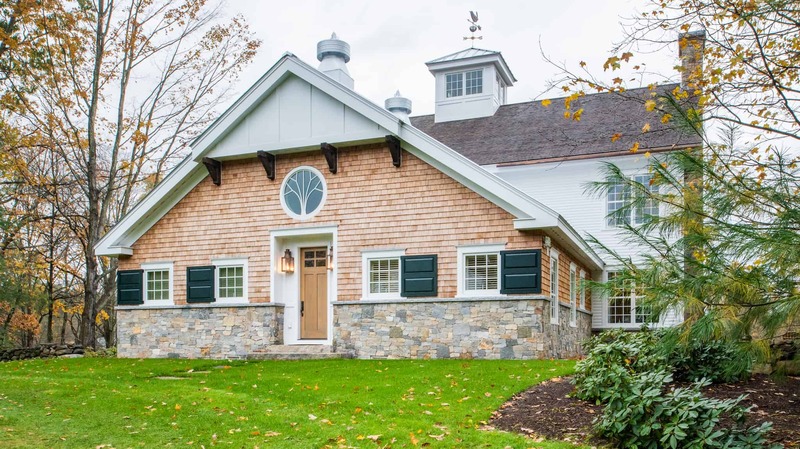 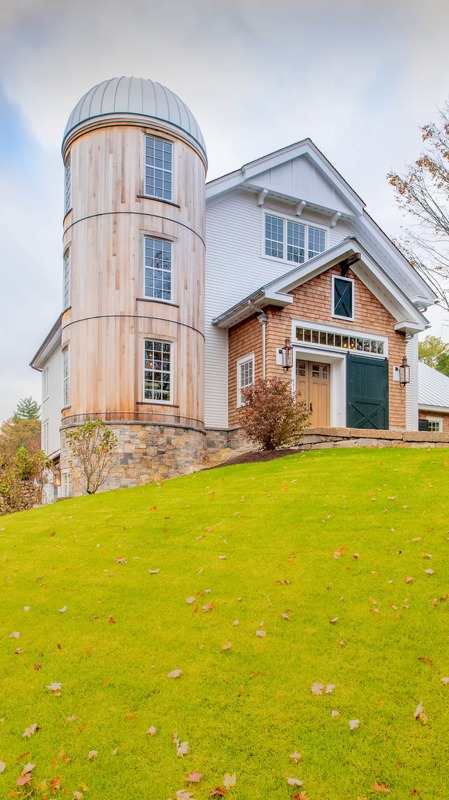 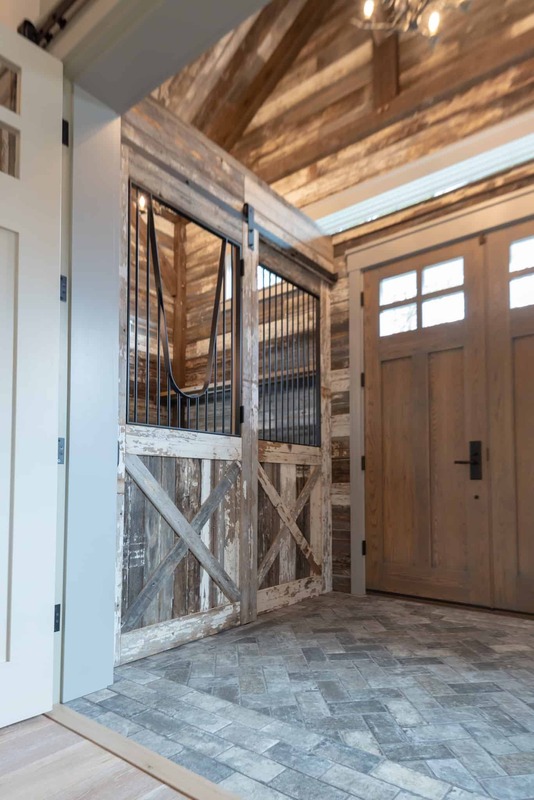 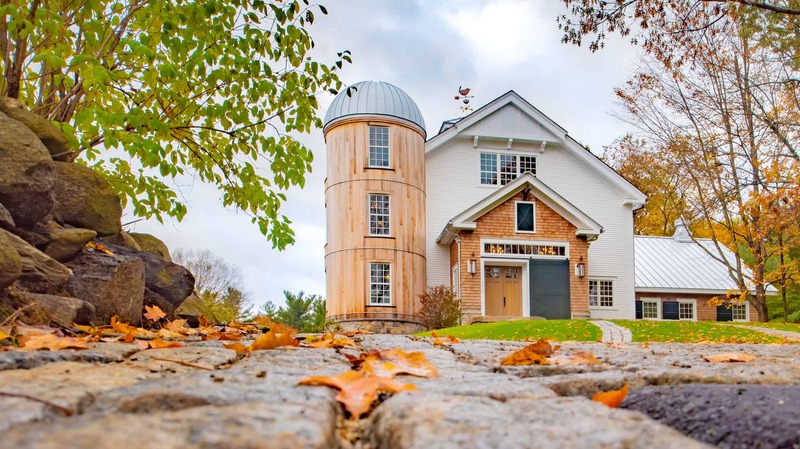 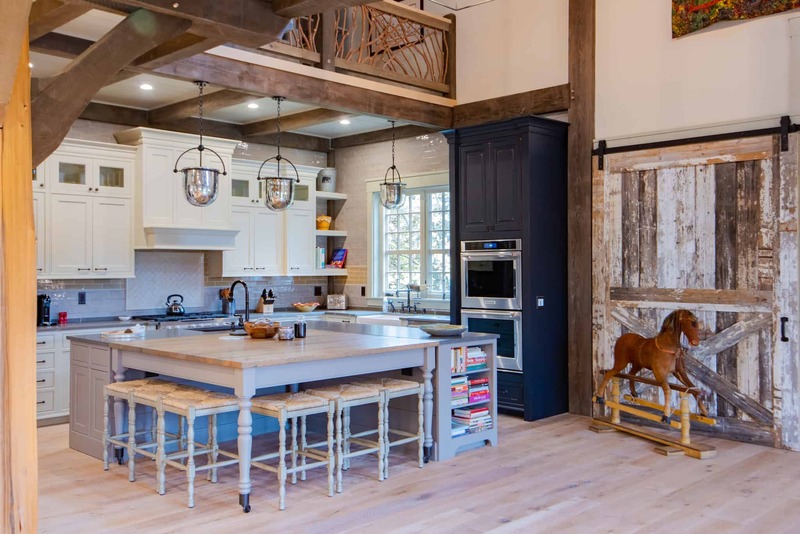 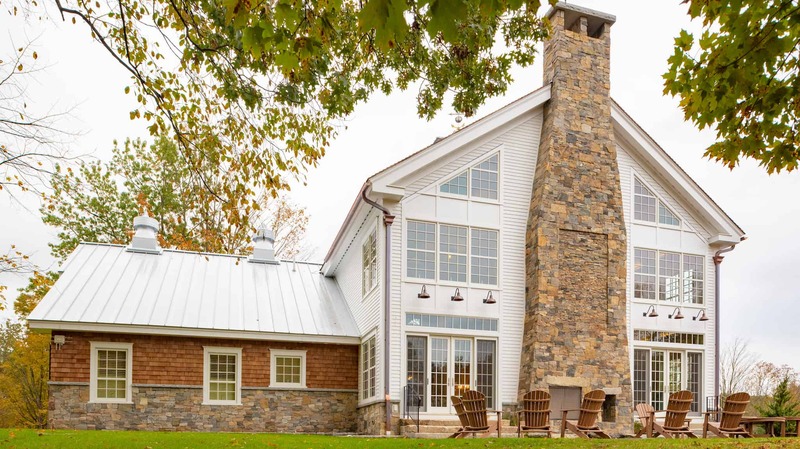 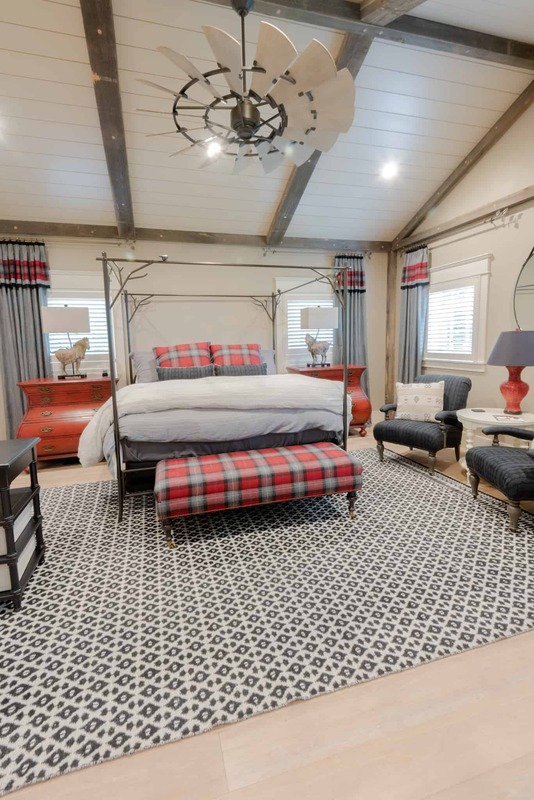 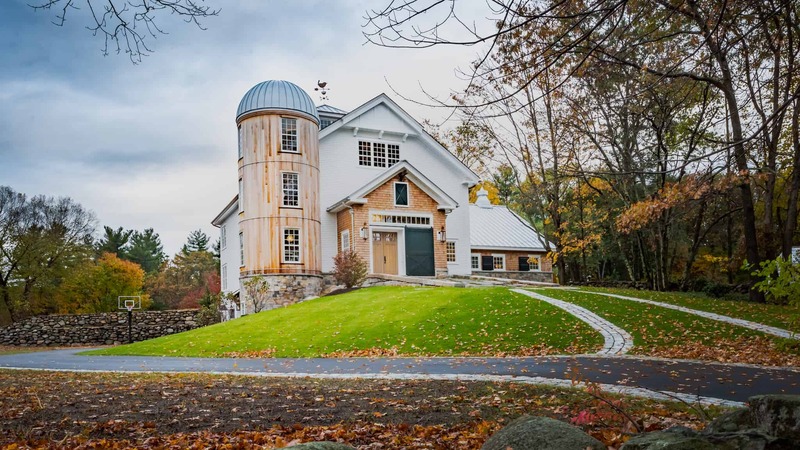 This new construction for a guest house was inspired by the rural barns and natural surroundings found on quiet country roads in Massachusetts. 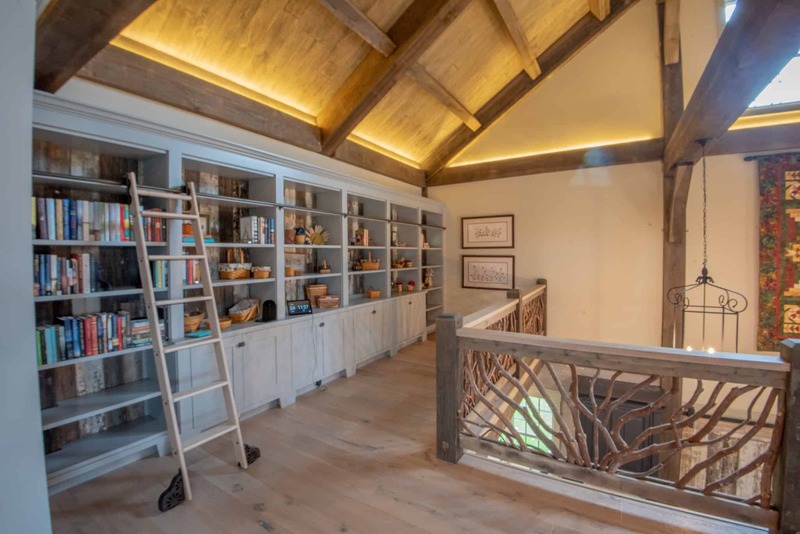 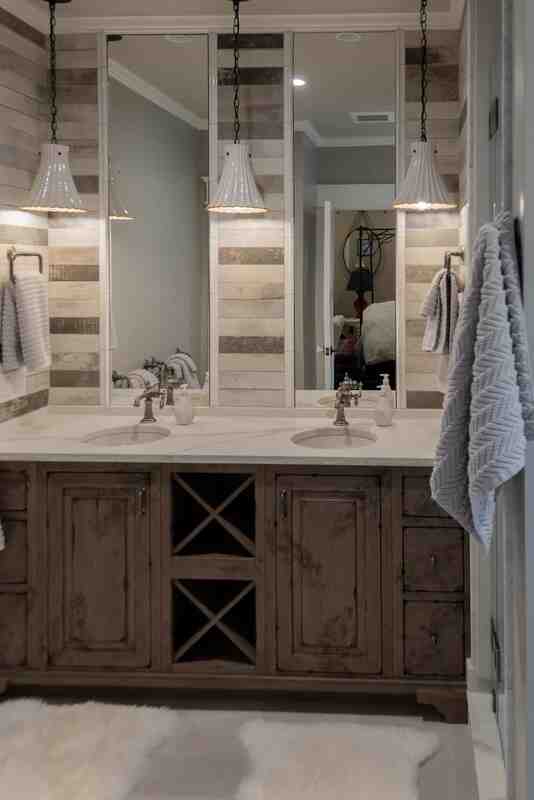 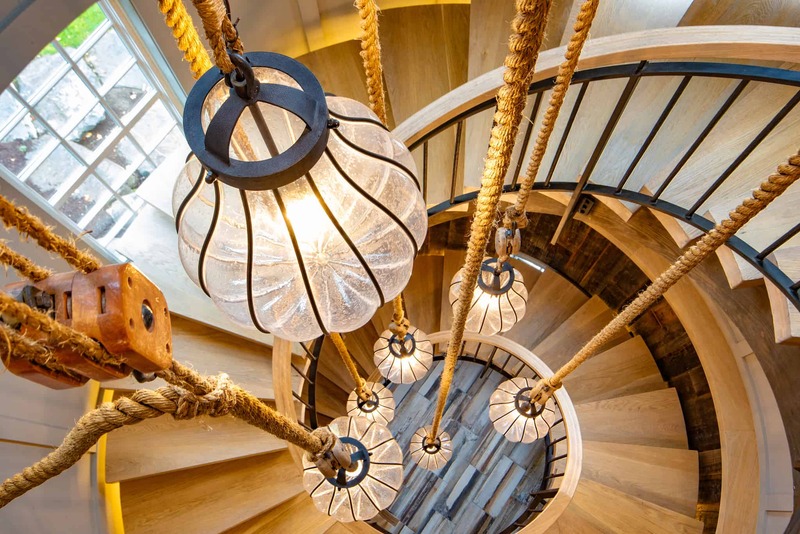 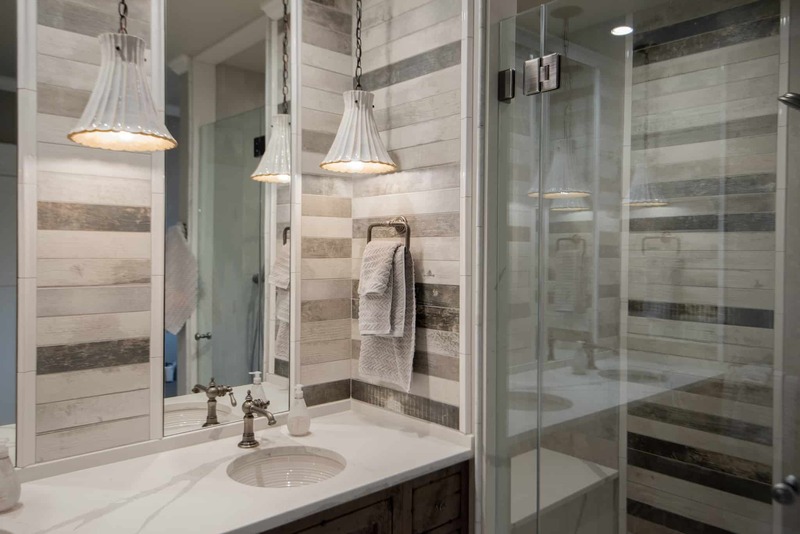 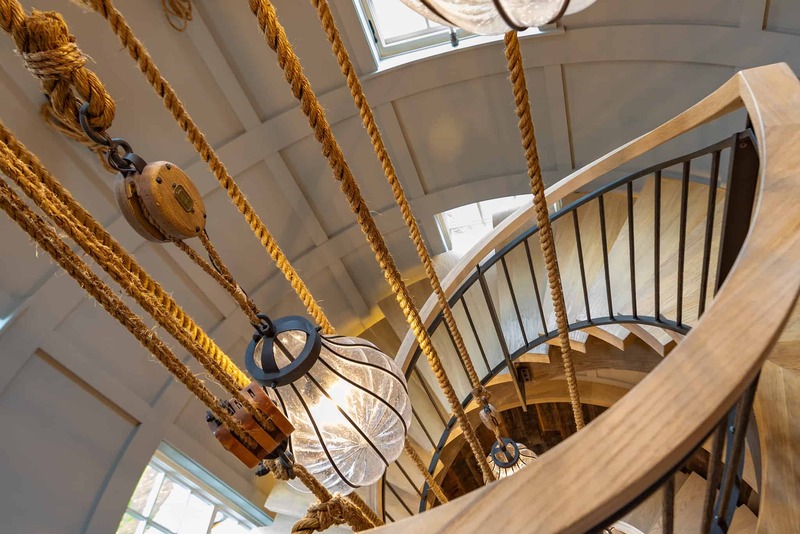 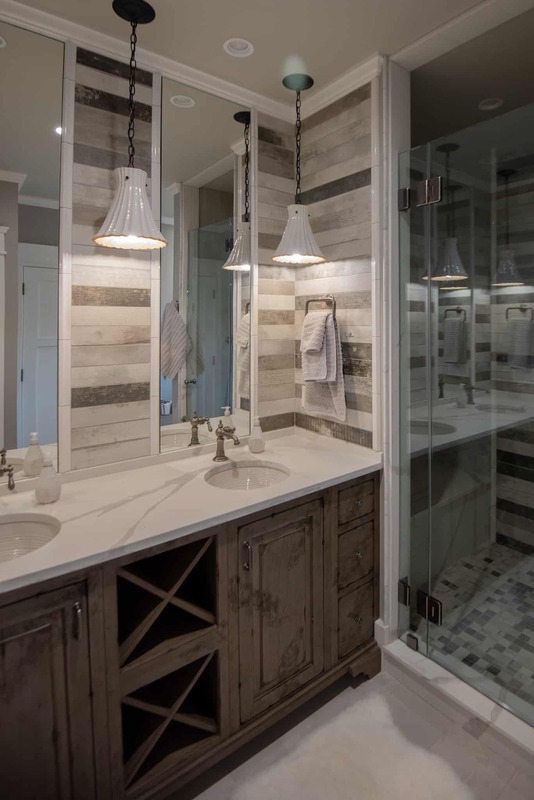 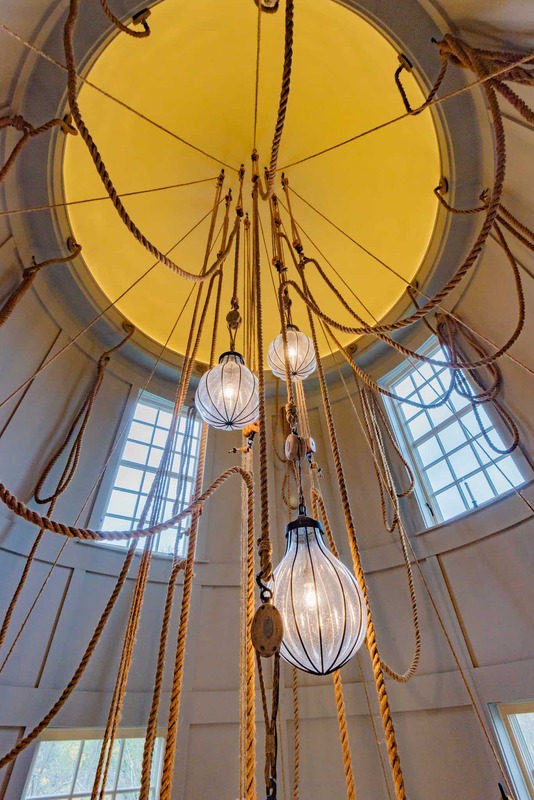 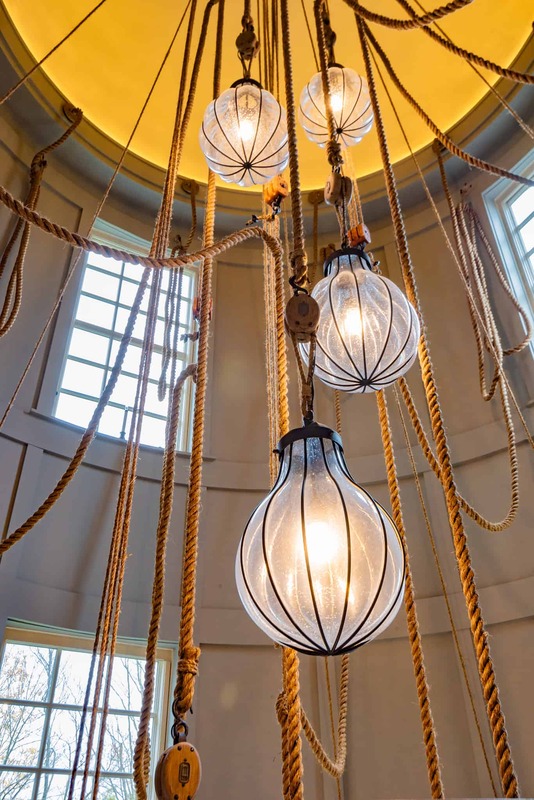 This project required specially sourced materials that will make the most discerning guests appreciate the natural aesthetics and high-end finished work. 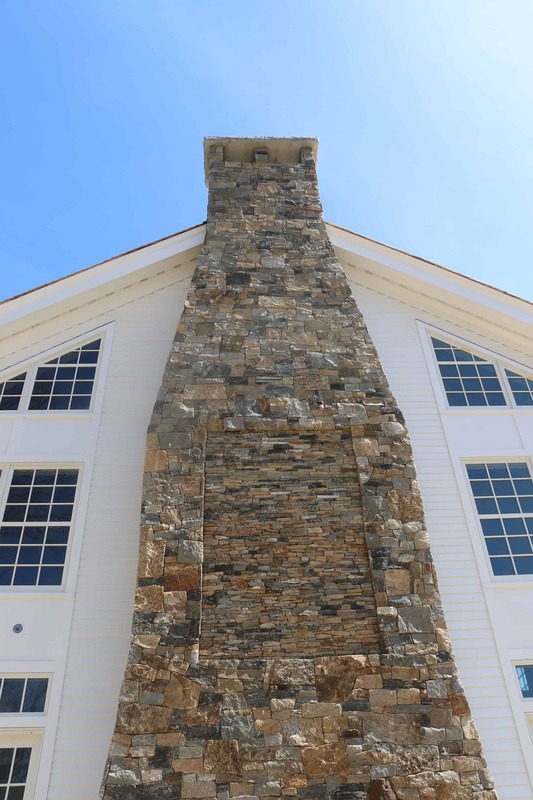 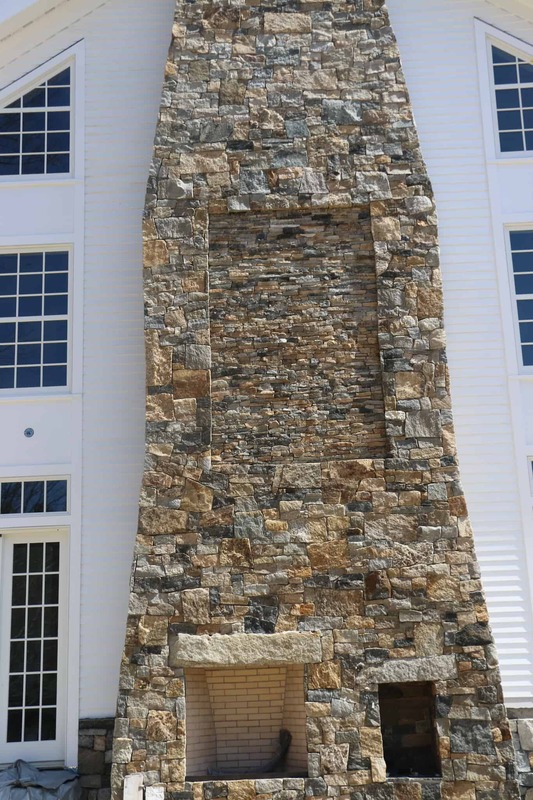 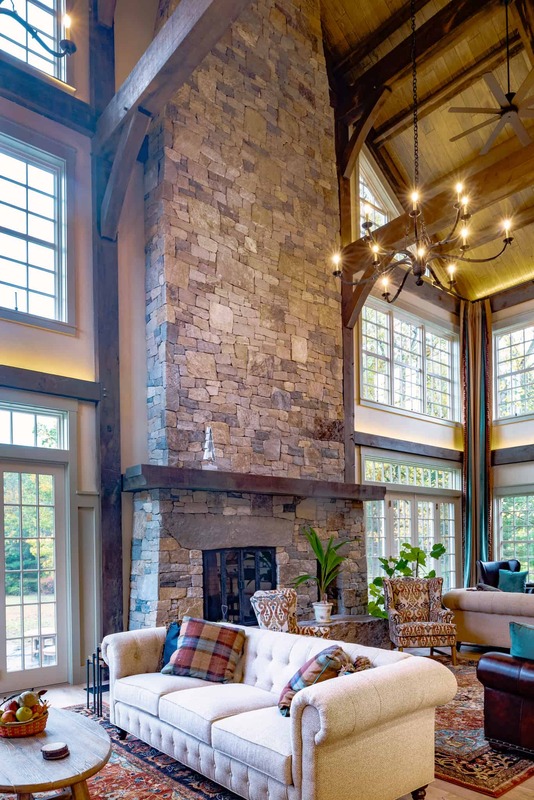 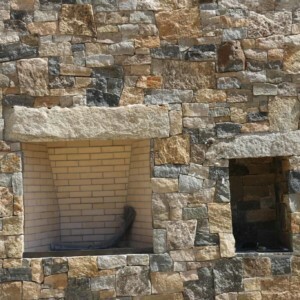 The natural stone chosen for the massive chimney is Boston Blend Ashlar, Ledge, and Square & Rec Thin Veneer. 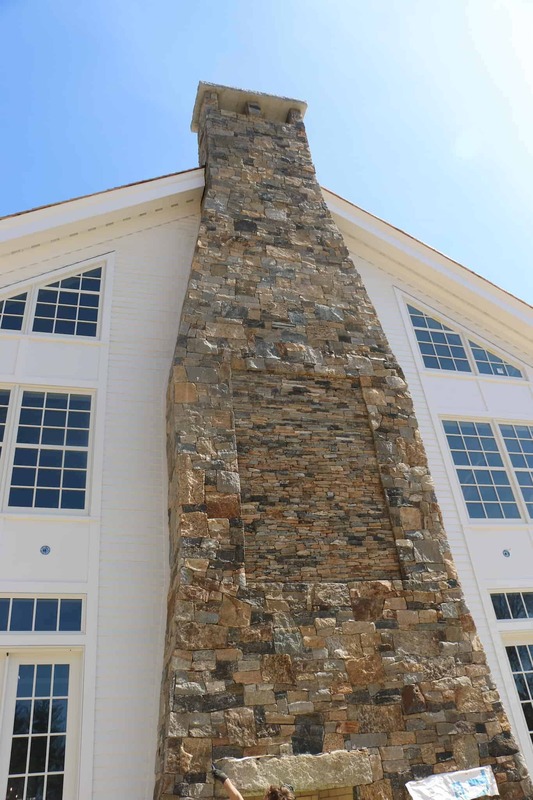 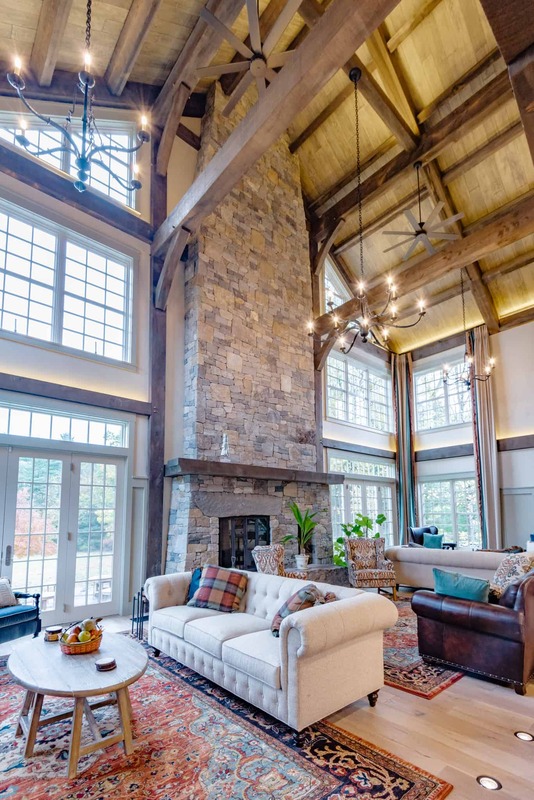 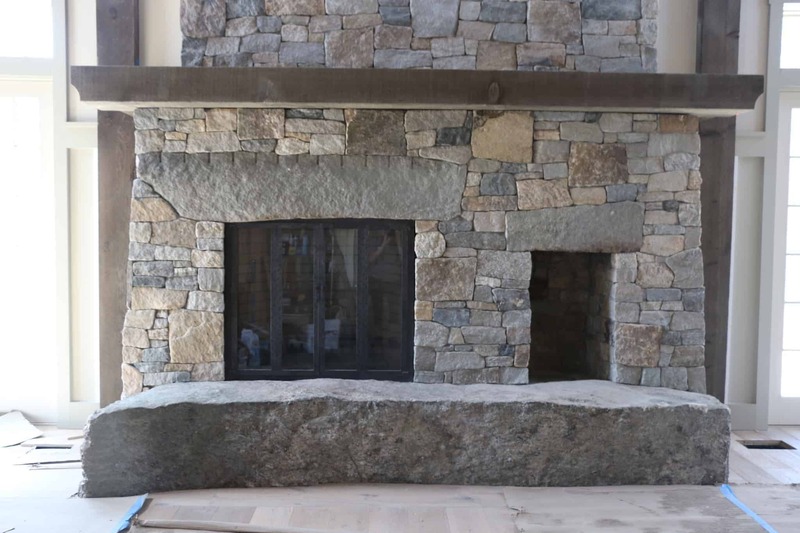 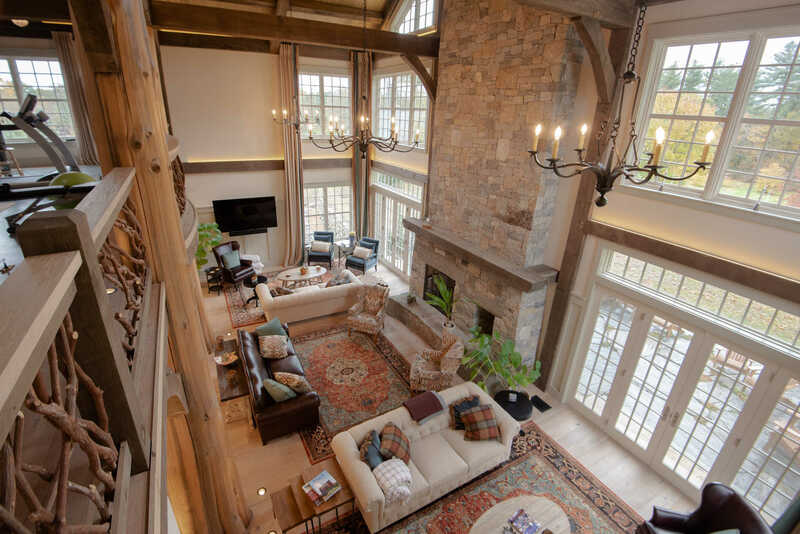 The chimney boasts an indoor fireplace and an outdoor fireplace for twilight gatherings on chilly New England nights. 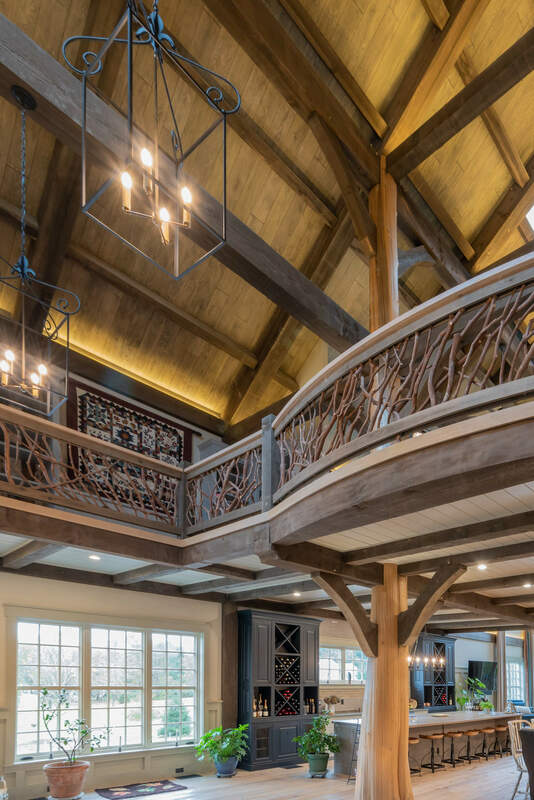 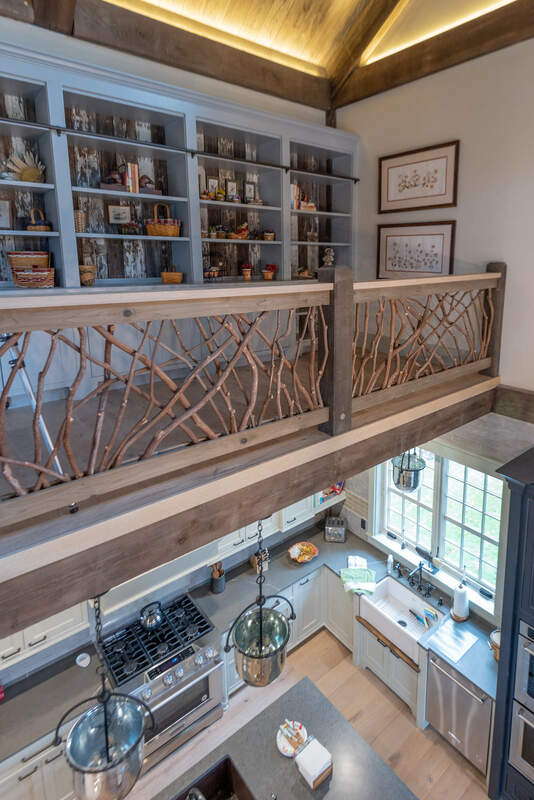 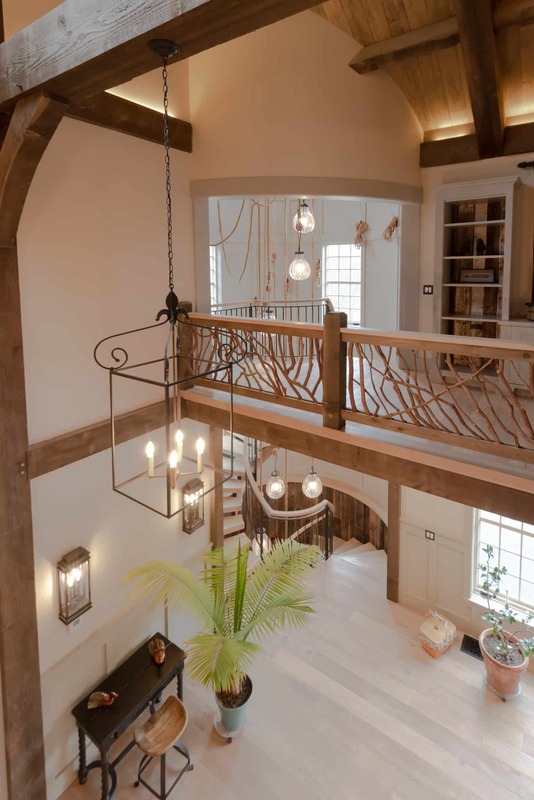 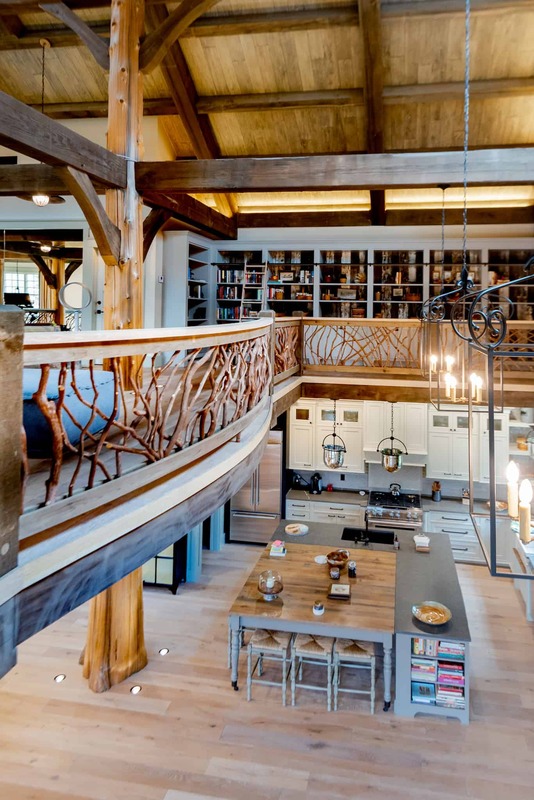 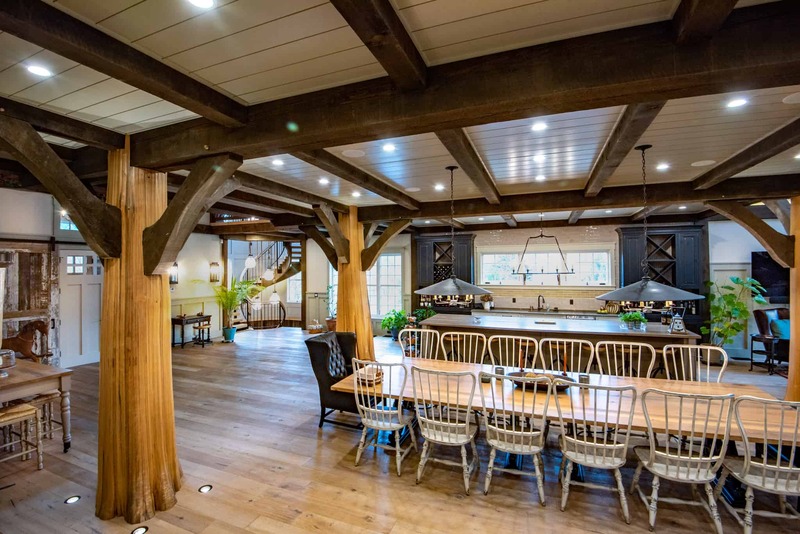 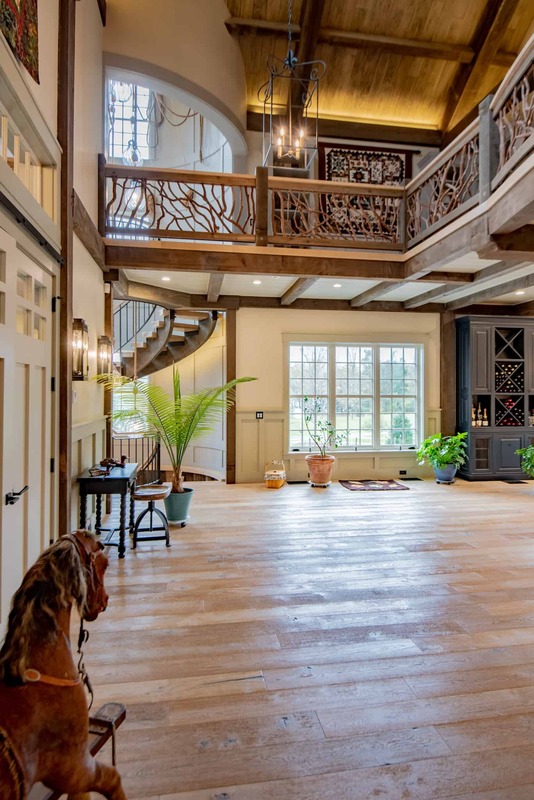 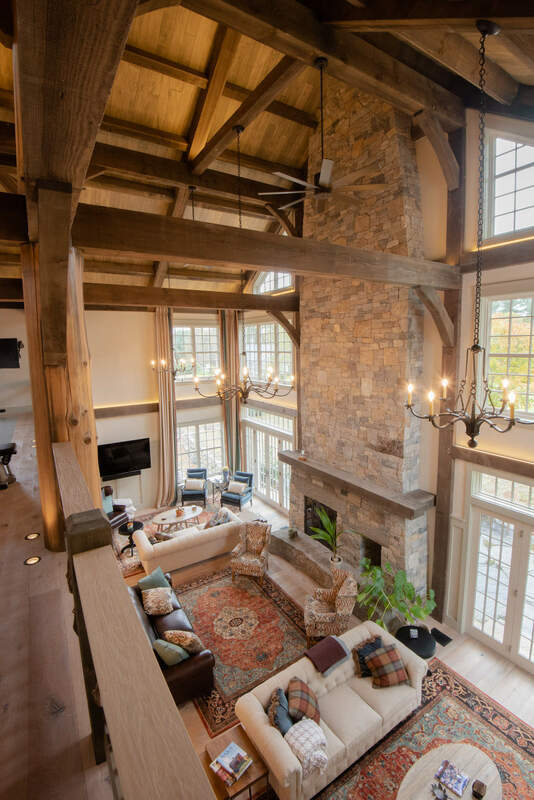 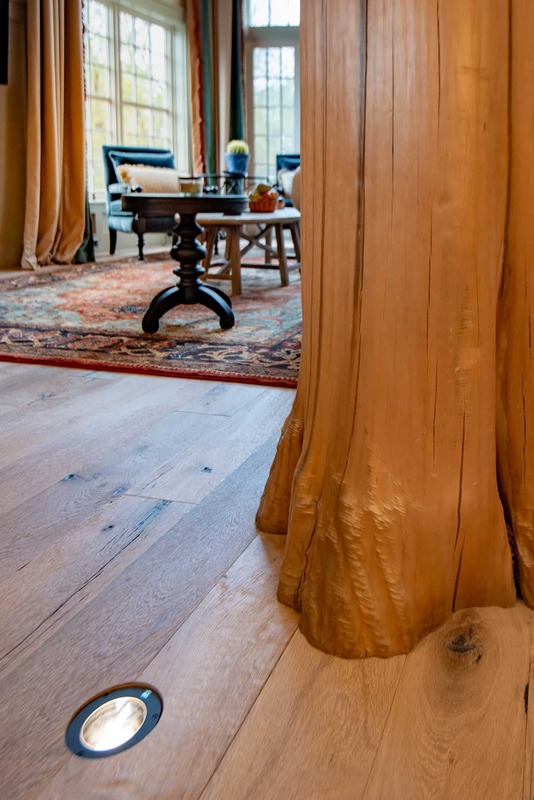 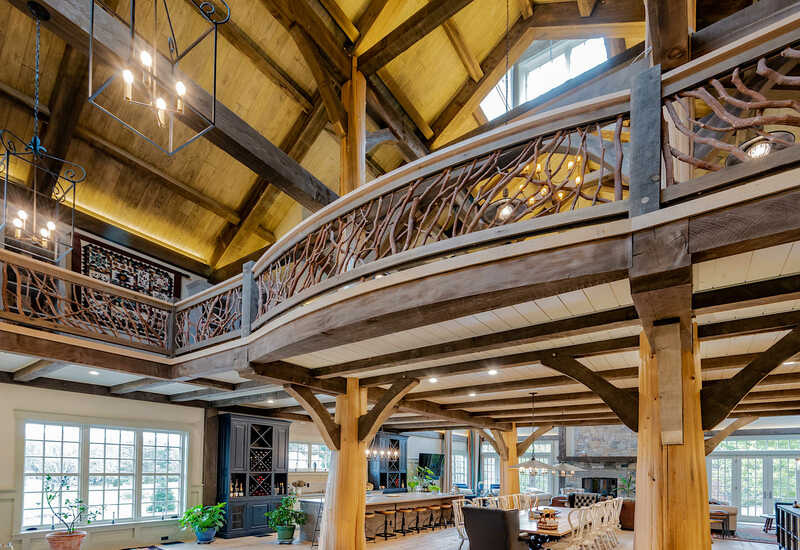 The great room is finished with natural materials including actual full tree trunks and tree branch railings. 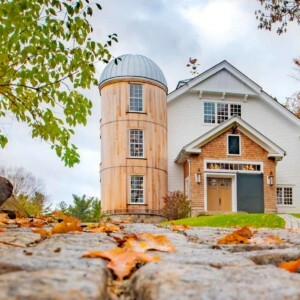 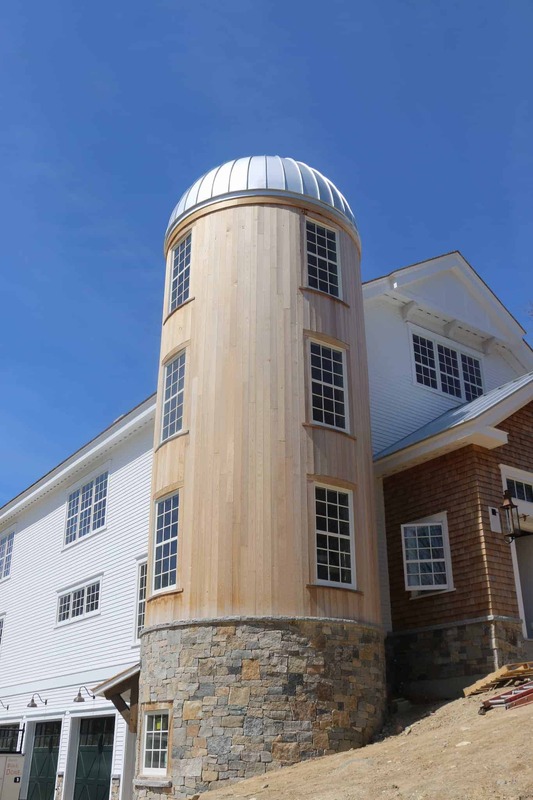 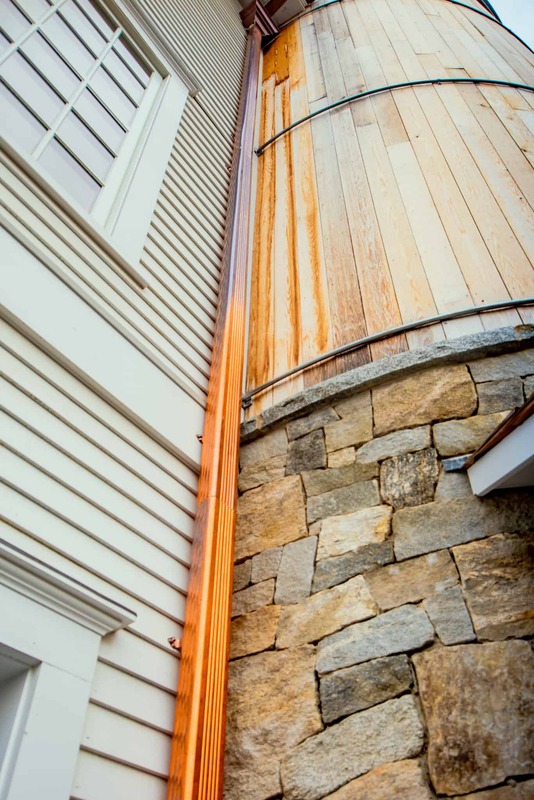 Stoneyard's Boston Blend Thin Veneer circles the foundation of the silo and continues around the foundation of the first story guest rooms. 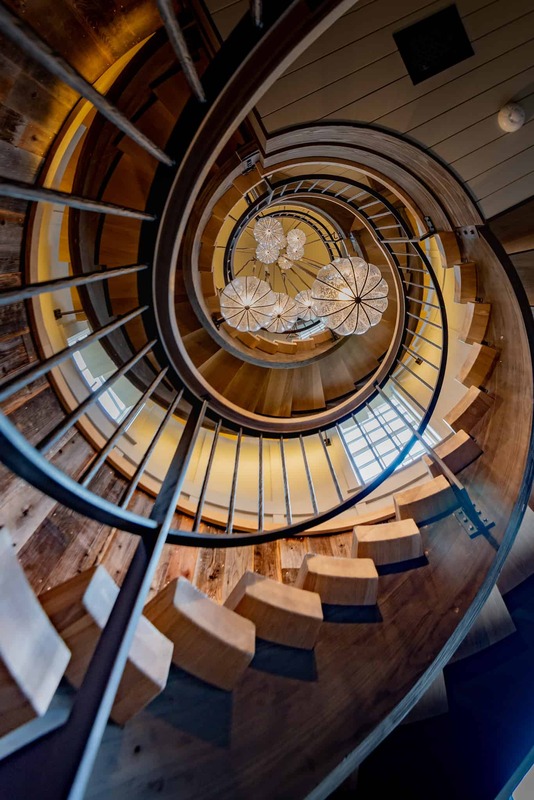 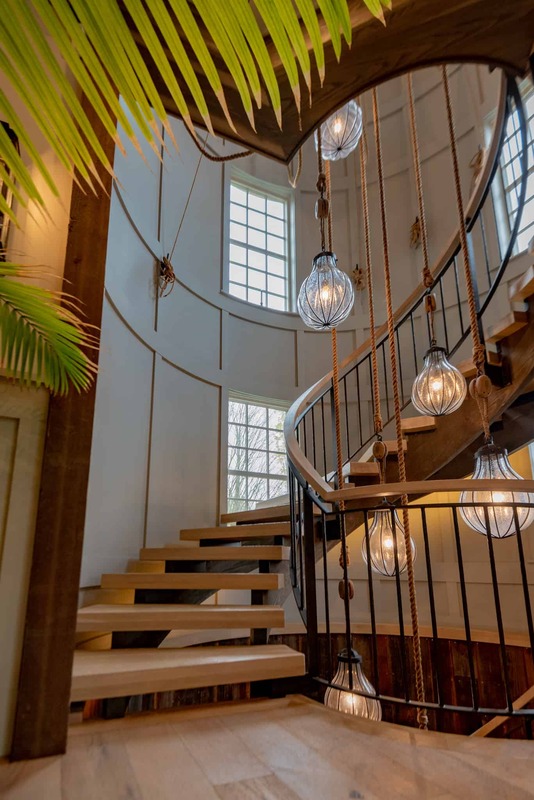 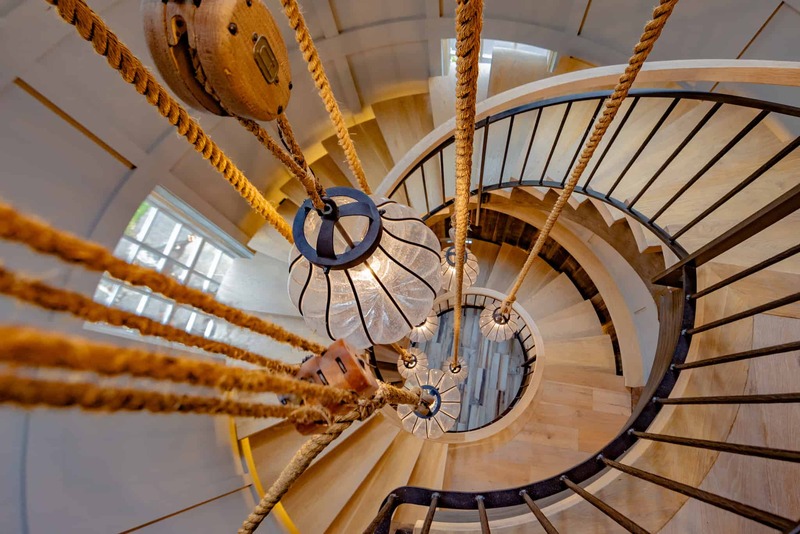 The silo serves as the three story spiral grand staircase. 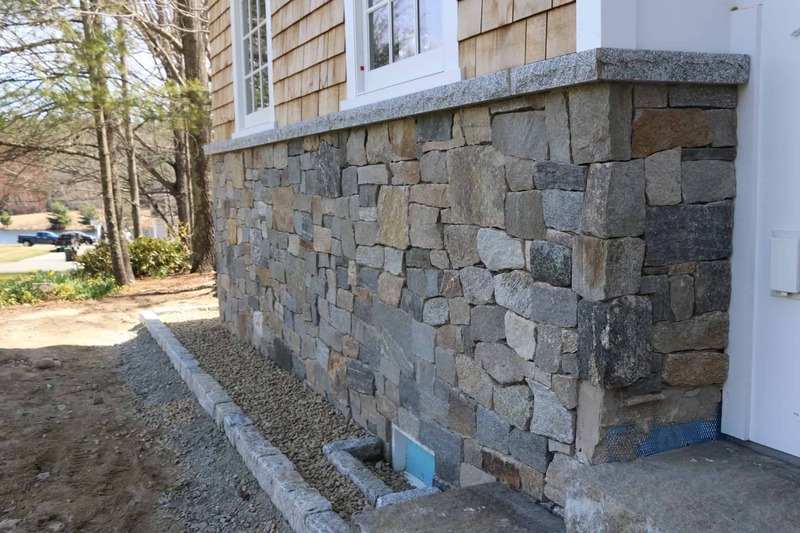 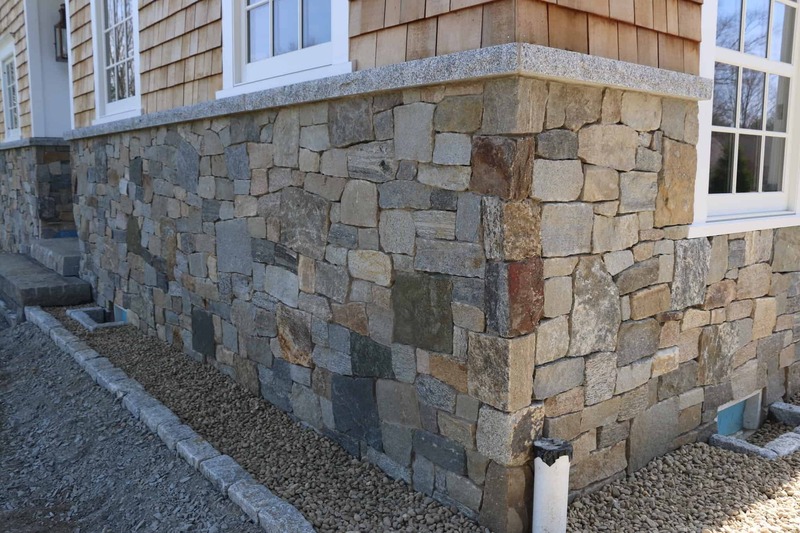 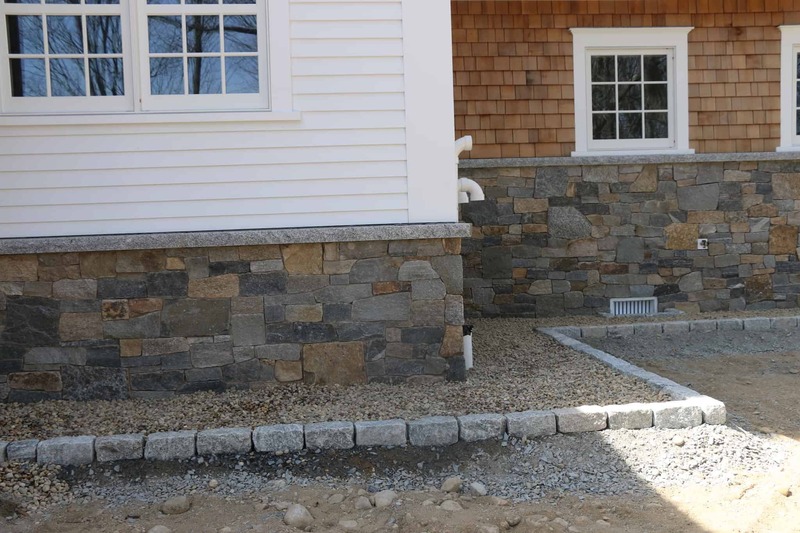 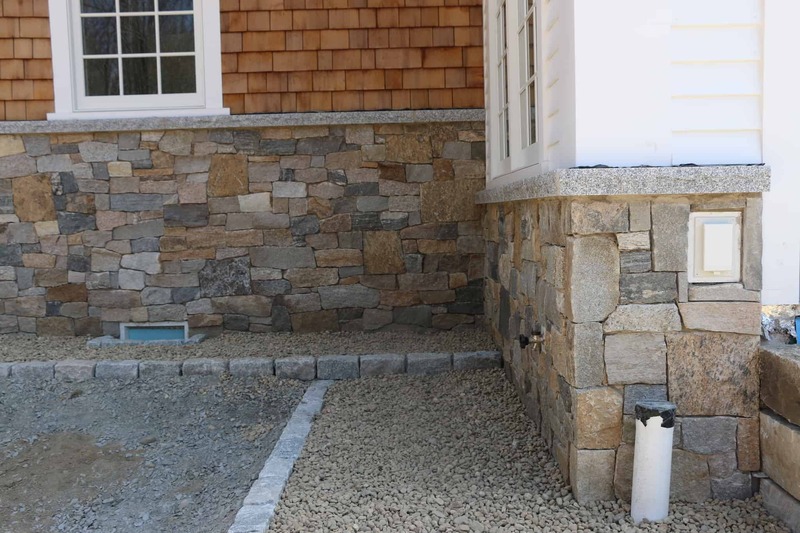 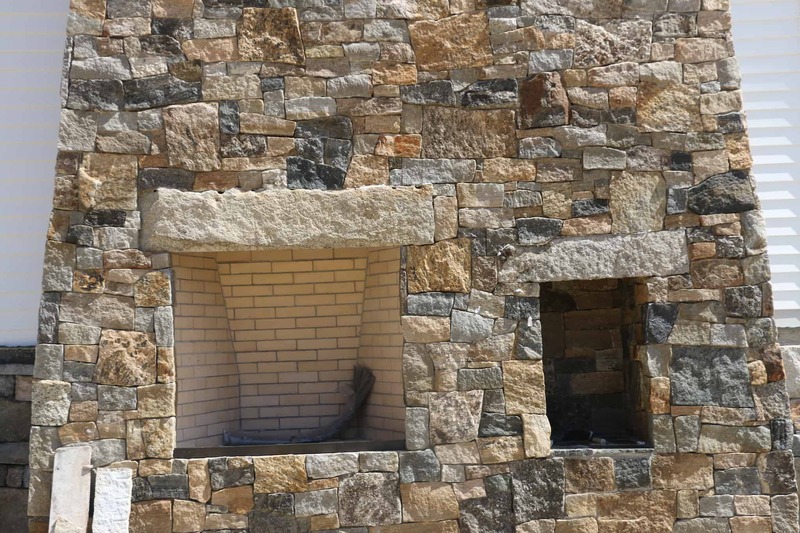 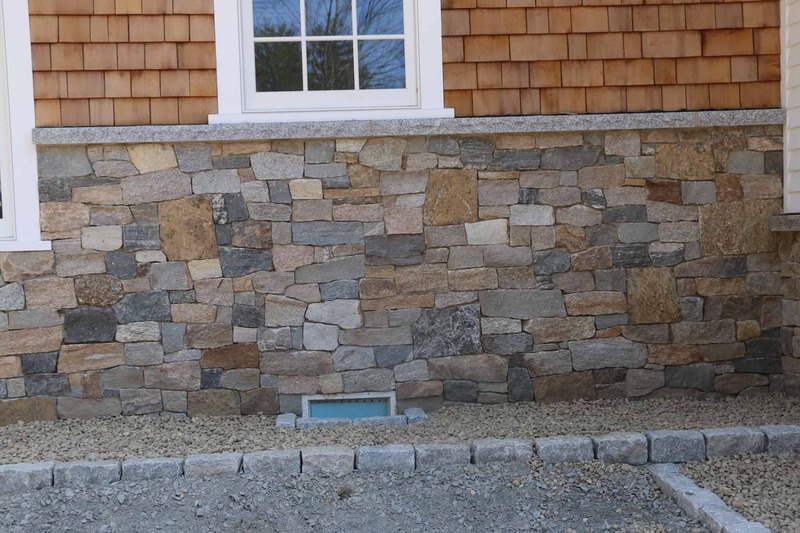 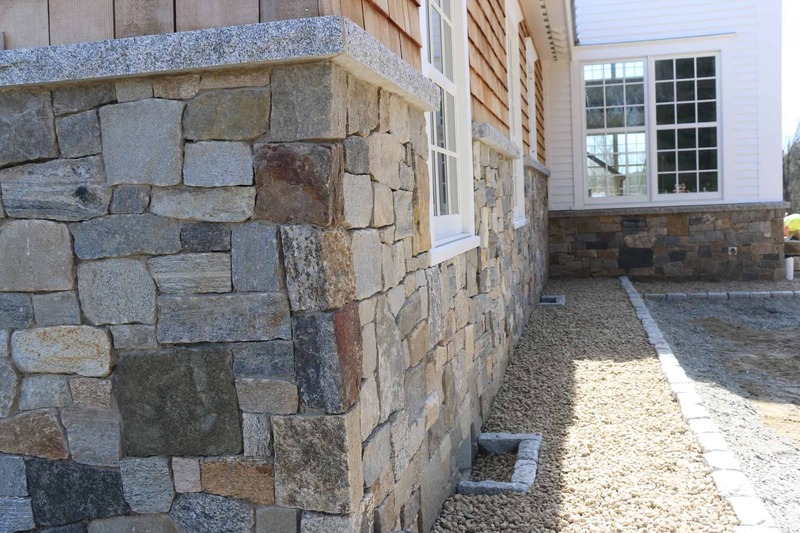 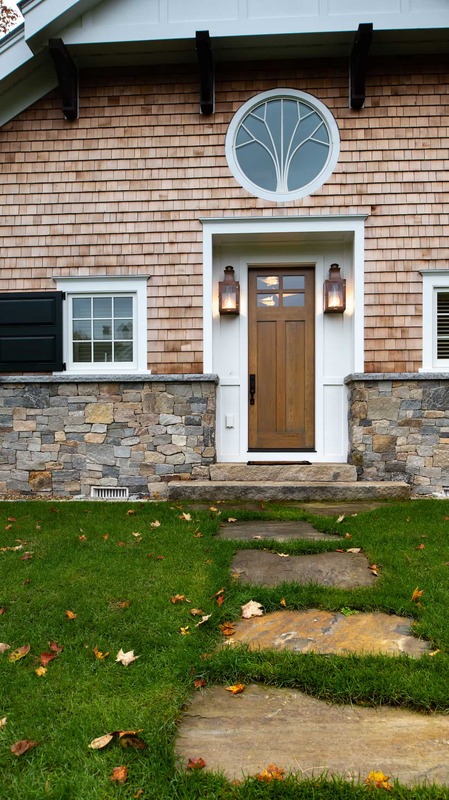 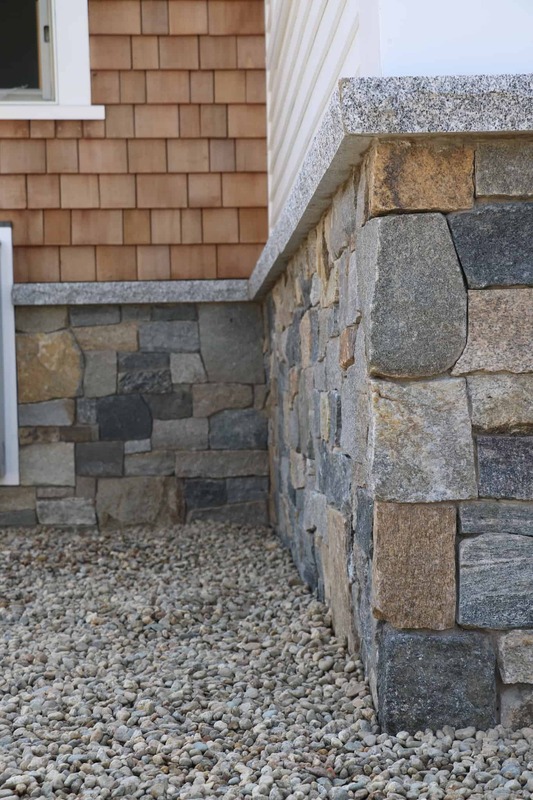 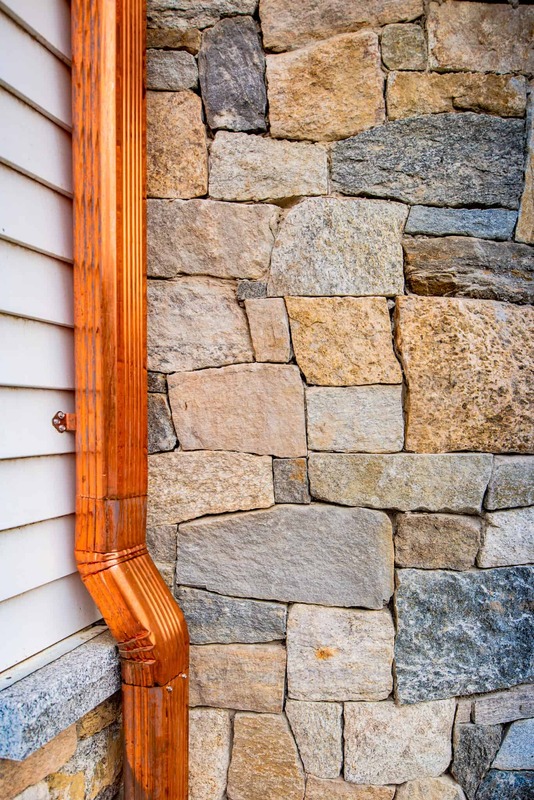 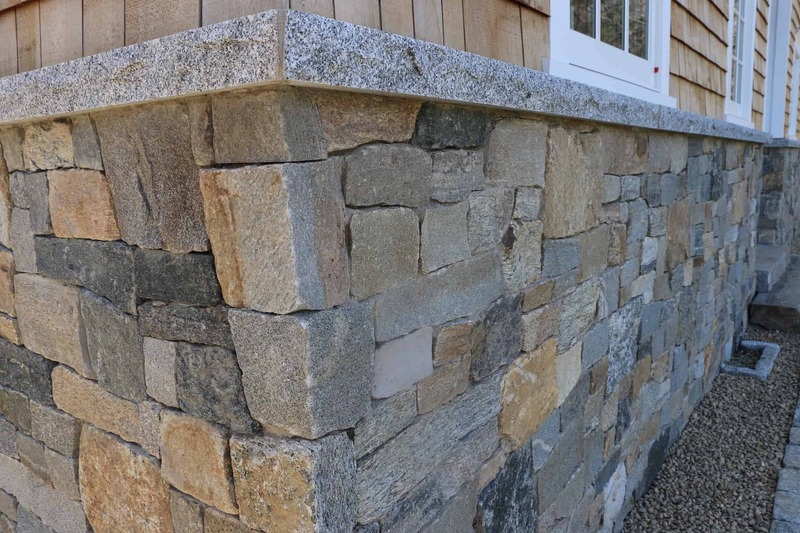 The stone expertly installed by Salo Masonry is a mix of 80% Boston Blend Ashlar and Ledge, and 20% jumbo Boston Blend Square & Rectangular Thin Veneer.